In the 17th century Spain sent the Portola expedition led by the Governor of Baja California, a group of military soldiers and several Franciscan Friars. The expedition would establish permanent settlements in Alta California, defended by the soldiers and Father Junipero Serra was put in charge of the padres that would convert the Native American population to Christianity. Then, in 1833, the Act for the Secularization of the California Missions followed by the Decree of Confiscation in 1834 removed the administration of the Missions from the Catholic Franciscan Padres and given to the Mexican government. Eventually the vast properties of the Missions were divided and land grants were given to prominent Mexicans. In 1848, after the Mexican-American War and California became the 31st State in 1850, the United States Army occupied many of the Missions. Some of the Missions were used as garrisons and the soldiers lived in converted barracks. Ultimately, on March 18, 1861, President Abraham Lincoln decreed that the California Missions should be returned to the Catholic Church. Throughout the following years many of the Missions were abandoned or neglected and fell into disrepair while others became local parishes of the Catholic Church that are still in use today. Mission Santa Clara de Asis was founded on January 12, 1777 by Father Junipero Serra and it is named for Saint Clare of Assisi, it is the eight California Mission. Located 40 miles southeast of San Francisco, the original site chosen was new the Guadalupe River and within the year a small wooden church was built. As with most of the Missions in Alta California, the weather and other natural occurrences affected the buildings causing damage and sometimes total destruction. 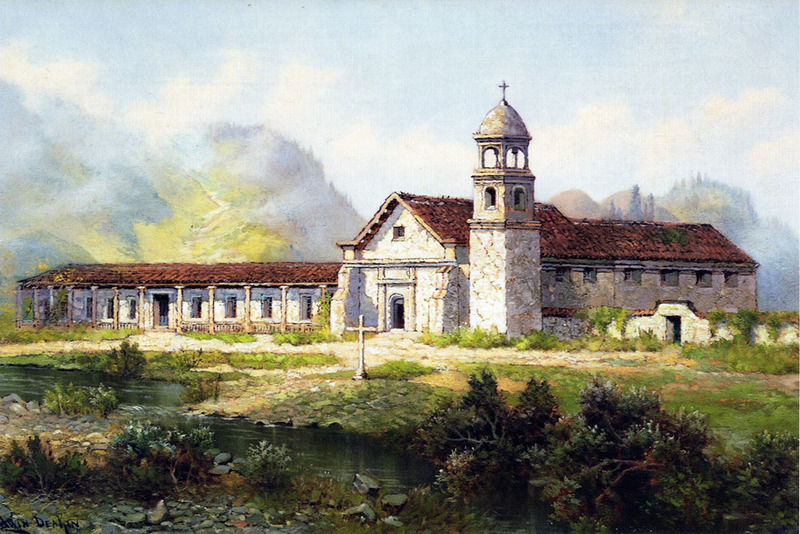 In regards to the Mission Santa Clara flood, fire and earthquakes created the need to rebuilt or relocate the Mission five times until the current church was constructed in 1825. 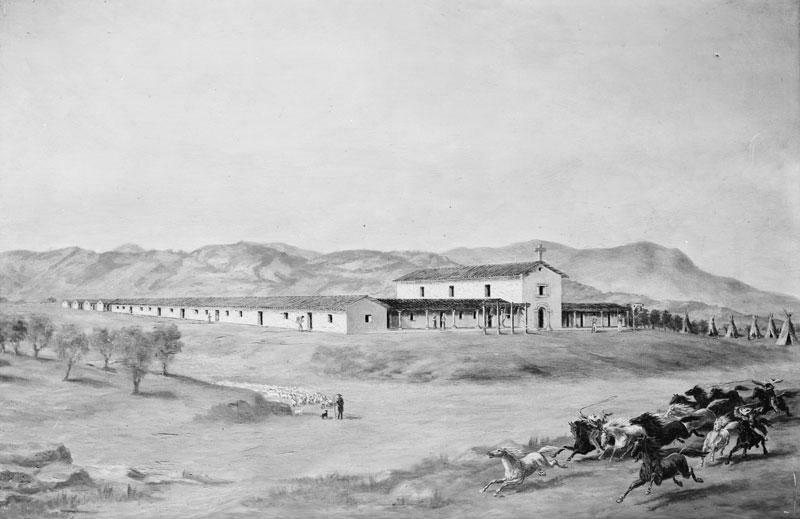 During those early years of the Mission Santa Clara, there was often tension between the Franciscan padres at the Mission and the people of the nearby San Jose pueblo, frequently arguments arose over cattle encroaching on the Mission herd and disputes over water rights. To create a sense of peace within the two separate communities, an order was given to build a long alameda (the Spanish word meaning a long public walkway) connecting the Mission and the pueblo located four miles away. With the guidance of the Spanish soldiers and two hundred Native Americans the road was soon completed and it was beautifully lined on either side with black willow trees. 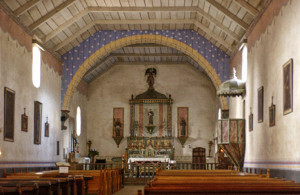 It was noted that on Sundays, the people of the pueblo would walk or travel by horse or carriage to attend Mass at the Mission. As secularization of the California Missions began in the 1830s, the Missions were either sold or given away as land grants. 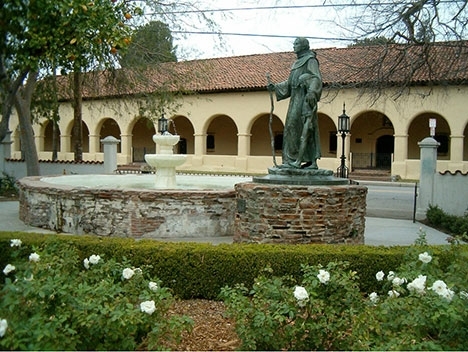 When the Missions were returned to the Catholic Church by the American government, it was decided that Mission Santa Clara would be transferred from the Franciscan Order to the Jesuit Order in1851. 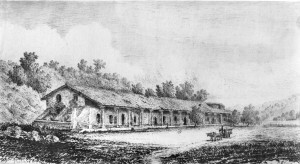 By 1855, the Jesuits established a college at the site (it was one of California’s first colleges) which eventually became the Santa Clara University. Alterations to the Mission Church took place over the years and the interior of the Mission church was widened to increase the size and to accommodate more seating in 1885. 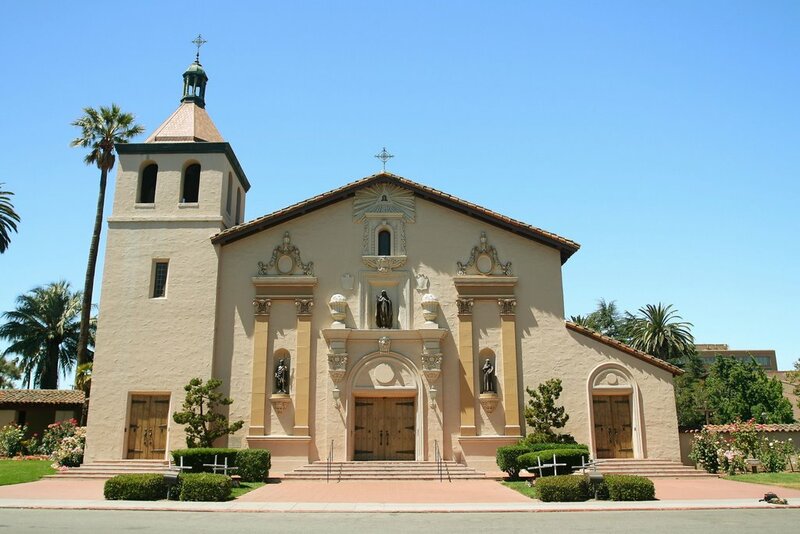 Then, in 1925 the building was destroyed by a fire and was later rebuilt and restored, it is currently being used as a local parish of the Diocese of San Jose and is located on the campus of Santa Clara University. Mission San Jose was founded on June 11, 1797 by Father Lasuen and is named for St. Joseph; it is the ninth California Mission. 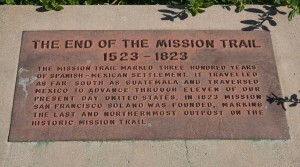 Prior to the establishment of Mission San Jose, in August 1796 it was determined that for the safety of travelers along the El Camino Real that additional Missions were required to fill in the gaps between the long stretches of road that were left opened to attacks by the Native Americans. 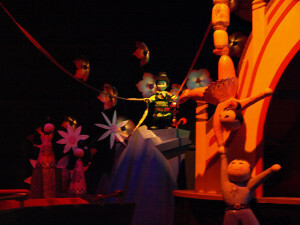 Thus, Viceroy Branciforte agreed and each of the individual Missions along the route could be reach easily within a day just in case of any conflicts or problems. Mission San Jose was one of those additional Missions and it would fill the gap between the Mission Dolores and Mission Santa Clara. Mission San Jose was located on the east side of the San Francisco Bay in an area known as the Fremont plain and populated by the Ohlone Native Americans. The site that was chosen had an abundant source of water and fertile soil and the Mission would grow wheat, grapes, olives and figs. But the Mission San Jose was very slow in developing since most of the Ohlone had already been previously baptized at Mission Clara which was located just 13 miles away and there was only a small amount that came to live there. 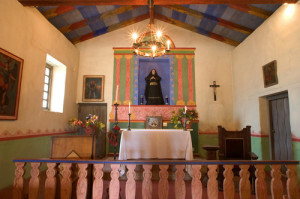 As a result the padres had very limited help in building the small wooden church so it not was completed until September 1797 and later a larger adobe church was built. Unfortunately, there were numerous other problems that plagued the Mission San Jose and stifled its growth as a successful Mission. One of those factors was the Mission’s location which was built near a natural break in the mountains that gave hostile Native Americans from the nearby San Joaquin Valley access to the area and they frequently attack the Mission. The Native Americans that lived at the Mission were also susceptible to European diseases brought by the new settlers to Alta California and in 1806 a serious measles epidemic drastically reduced the Native American population at the Mission. After the secularization of the California Mission, the property surrounding Mission San Jose was either sold or given away as land grants. The Mission buildings were abandoned and fell into disrepair. In 1848, during the Period known as the Gold Rush, H.C. Smith converted the Mission into a hotel, saloon and general store to service the people on the way to the Sierra Nevada Mountains. Then, in 1868 a large earthquake along the Hayward fault destroyed the Mission church and the other buildings. 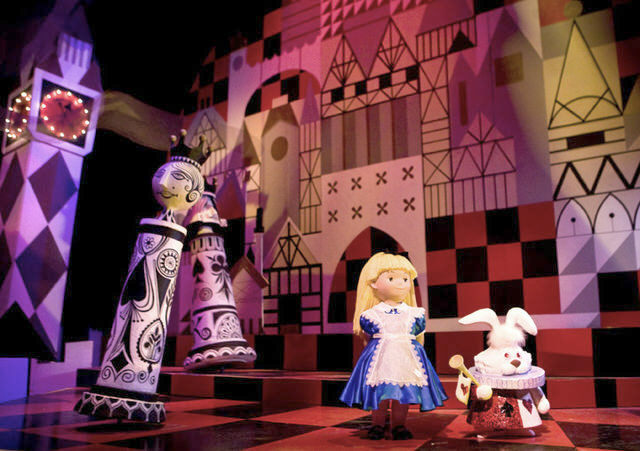 The site was cleared and a Gothic-style wooden church was built over the original church’s foundation, eventually the wooden church was moved to a new location in San Mateo. 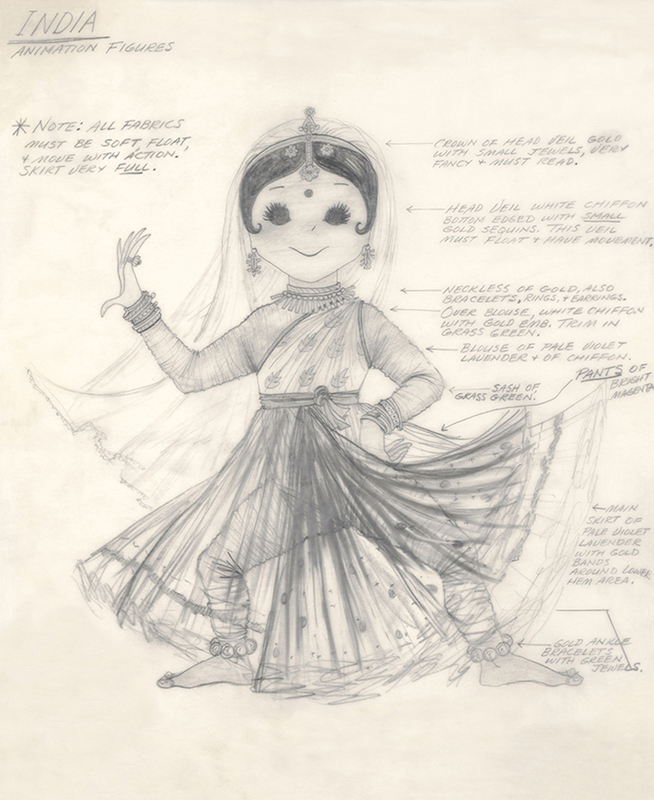 In 1973, a major restoration project was started with an extensive archaeological excavation. 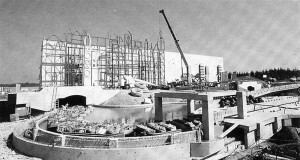 Then, in 1982 construction began to build an exact replica of the original 1908 adobe church but with a steel frame as required by the California earthquake building code. 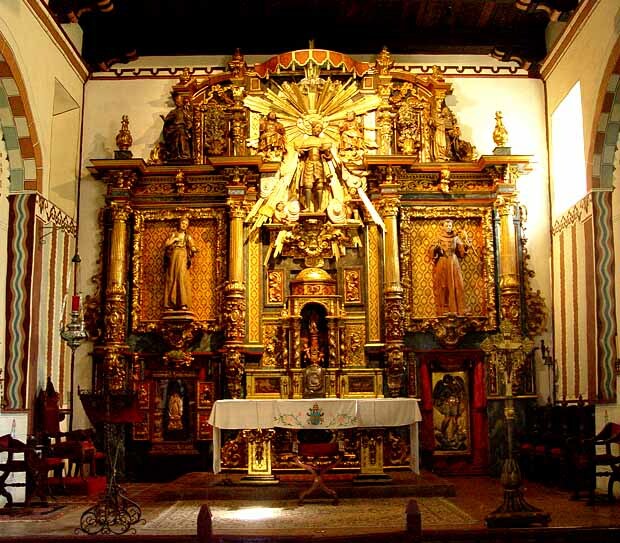 Two of the original statues of Mission San Jose were found and returned and place in the two side altars, the first was a statue of Christ wearing a crown of thorns and the second was the wooden statue of Saint Bonaventure. The original copper baptismal font was also found. During the previous excavation process, the marble grave marker of Robert Livermore, a prominent landowner in the area, was uncovered, repaired and replaced in the newly reconstructed church. 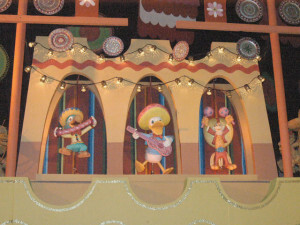 The original three Mission Bells were also returned to the reconstructed bell tower. 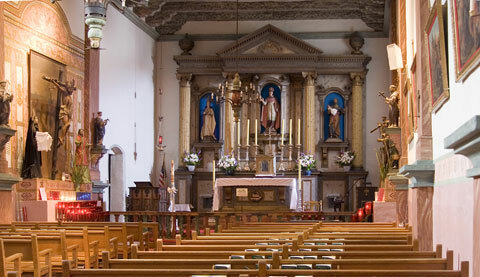 Today, the Mission San Jose is located in the present day city of Fremont and is used as a local parish for the Diocese of Oakland. 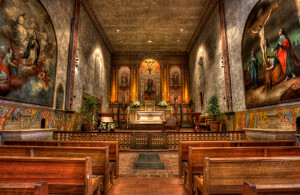 Mission San Francisco de Asis (often referred to as Mission Dolores) was founded on June 29, 1776 by Father Francisco Palou during the de Anza Expedition, it is named for Saint Francis of Assisi who was the founder of the Franciscan Order, it is the sixth California Mission. 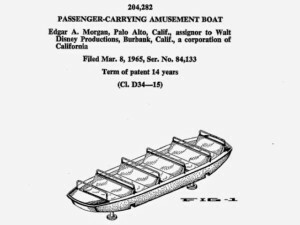 Several years earlier, the expedition had inadvertently come across the narrow entrance to San Francisco Bay and the Viceroy determined that the location would be suitable for another a mission and a presidio and he ordered that they be built. 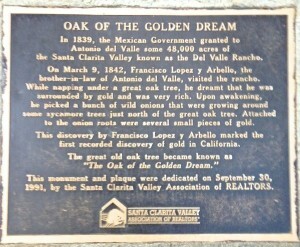 Later, de Anza led a group of almost 250 settlers from the Mission San Diego north along the El Camino Real that linked the Missions of Alta California. The majority of the settlers stayed in Monterey at the Mission Carmel but a few ventured further north to the San Francisco area. A site for the Mission was found along the Arroyo de los Dolores (“Our Lady of Sorrow” creek) and a wooden church with a thatch roof was soon built. 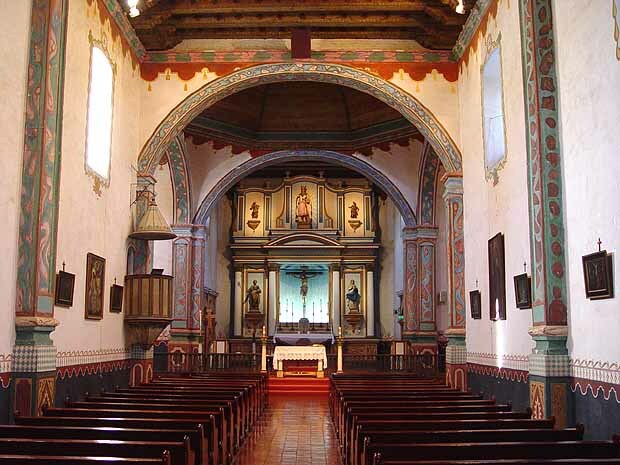 Later, in 1782 a large adobe church was built with additional buildings, such as a monastery for the padres, housing for the residence, agricultural and manufacturing areas, which were surrounding with a quadrangle. During those early years of Mission Dolores, the property extended south to San Mateo and east to Alameda with over 125 miles of grazing land for 11,000 heads of cattle, 11,000 sheep and thousands of horses, goats and pigs. Unfortunately the weather conditions, with almost constant morning fog and limited sunshine, was not conducive for growing crops and other locations further north were considered for additional Missions. 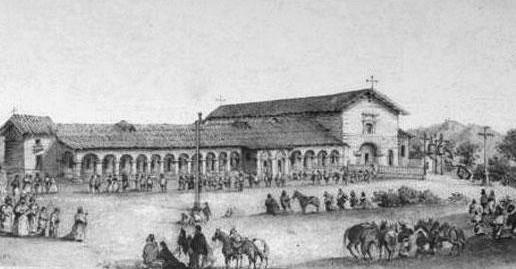 Then, in 1834, the Mexican government secularized the California Missions and the property surrounding Mission Dolores was sold or given as land grants. During the time of the California Gold Rush, the Mission church was covered with wooden siding for a more modern appearance and converted into a hotel and saloon which became known as the Mansion House. 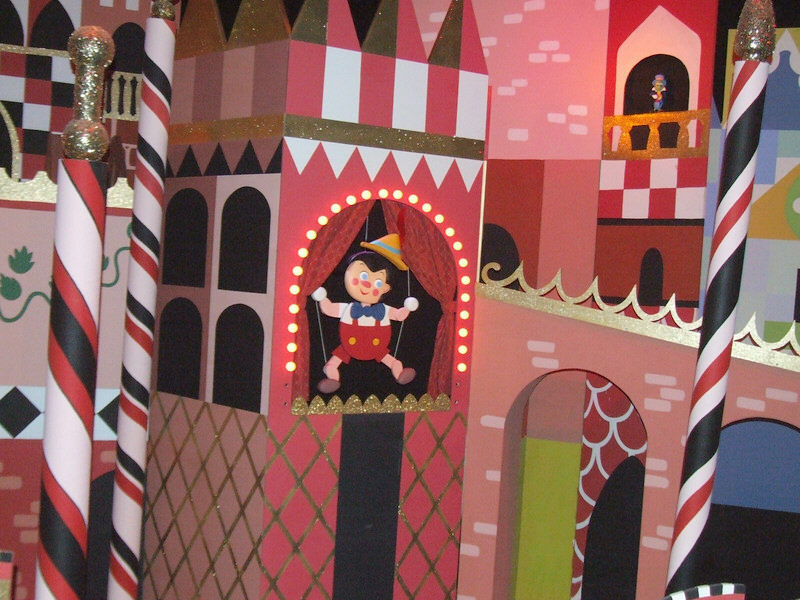 Adjacent to the Mission a large Gothic style brick church was built which appeared to be out of place since the area surrounding the Mission now included additional saloons and gambling establishments which were built, including an arena that held bull and bear fights for entertainment! 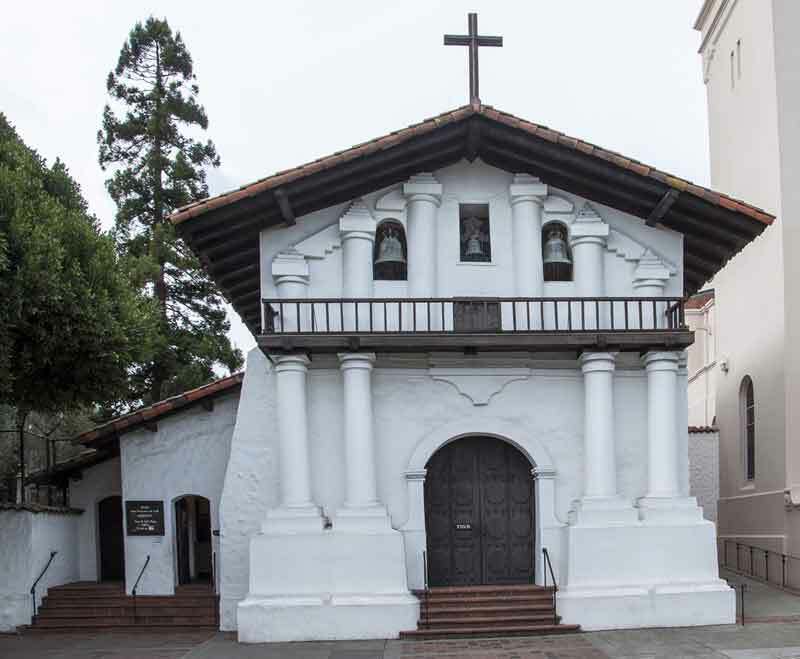 When the famous 1906 San Francisco earthquake hit the region, the wooden siding that enclosed former adobe church of Mission Dolores was saved from being seriously damaged but the brick church nearby completely collapsed. 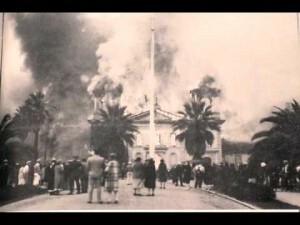 Later, the fire that would ultimately destroyed many of the buildings in San Francisco came within yards of the old Mission church but it was saved from any serious damage. After the earth quake and subsequent fire, the area surrounding the Mission was cleared and a new large stone church was built by the architect Willis Polk to replace the old brick church. Special care was taken not to damage the old Mission Dolores church adjacent to the new building; it underwent a partial restoration with the wooden siding being removed to expose the original adobe walls. 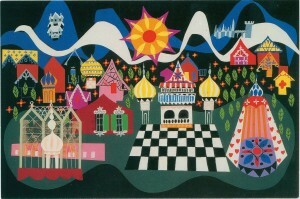 In the early 1900s, the estate of E.W. 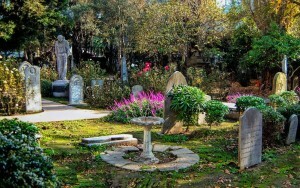 Scrips commissioned several sculptures to depict the history of California and a large six foot tall sculpture of Father Junipero Serra by Arthur Putnam was placed in the Mission cemetery in 1918. 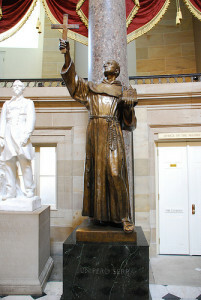 It is one of only a few sculpture of Father Serra and depicts him standing wearing the robe of the Franciscan Order which is customarily belted at the waist by a knotted rope, his head is bowed and his eyes are look down. 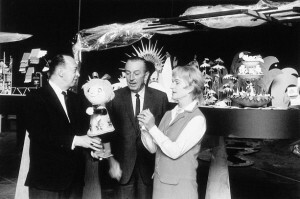 In 1993, the statue was examined by the Smithsonian institution and found to be in excellent condition despite the many years that it has been exposed to the outdoor elements. In 1952, Pope Pius XII declared the Mission Dolores the status of a Minor Basilica which was only the fifth basilica to be named in the United States and the only one in the western portion of the country. 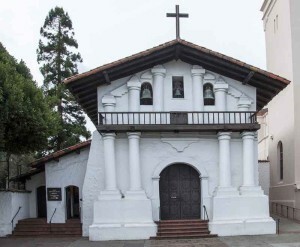 Today, the adjacent stone church is known as the Mission Dolores Basilica and the original adobe Mission church is simply known as Mission Dolores. 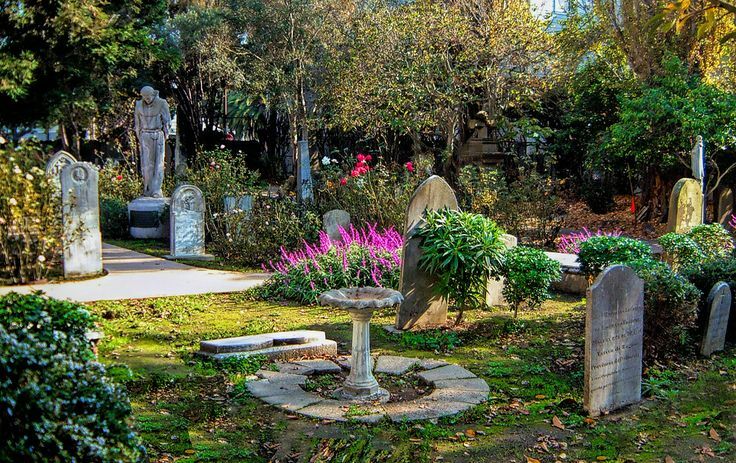 Today, Mission Dolores is an active parish of the San Francisco Diocese and portions of the old cemetery to the south of the original Mission is now covered by the playground of the Mission Dolores School. 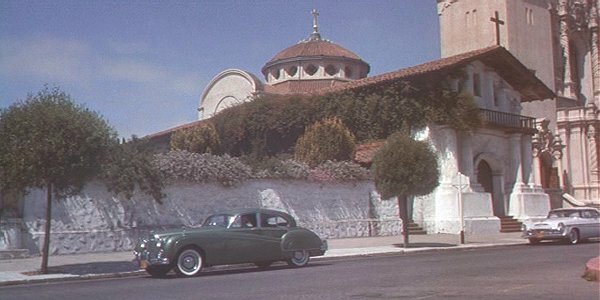 Mission Trivia: The Mission Dolores was featured in the 1958 Alfred Hitchcock psychological thriller “Vertigo”, which is based on the 1954 novel “D’entre les morts” (Among the Dead) by Boileau-Narcejac. 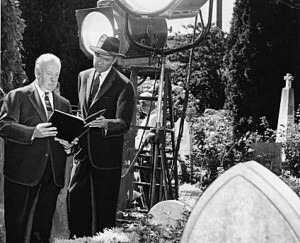 The classic plot of suspense, deceit, mistaken identity and death centers on Scottie Ferguson (played by Jimmy Stewart) who is a former police detective that is forced into early retirement because of a traumatic incident which caused him to develop acrophobia (an extreme fear of heights) and vertigo (a sensation of false movement). Scottie, who is now retired and working as a private investigator, is hired by Gavin Elster to follow his wife Madeline (played Kim Novak), who is behaving very strangely. In one of the most pivotal scenes in the movie, Scottie follows Madeline to the Mission Dolores. 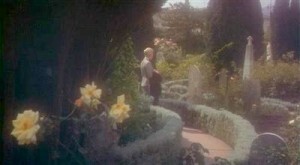 As she enters the Mission cemetery, she stops at the grave of Carlotta Valdes to leave a bouquet of flowers. 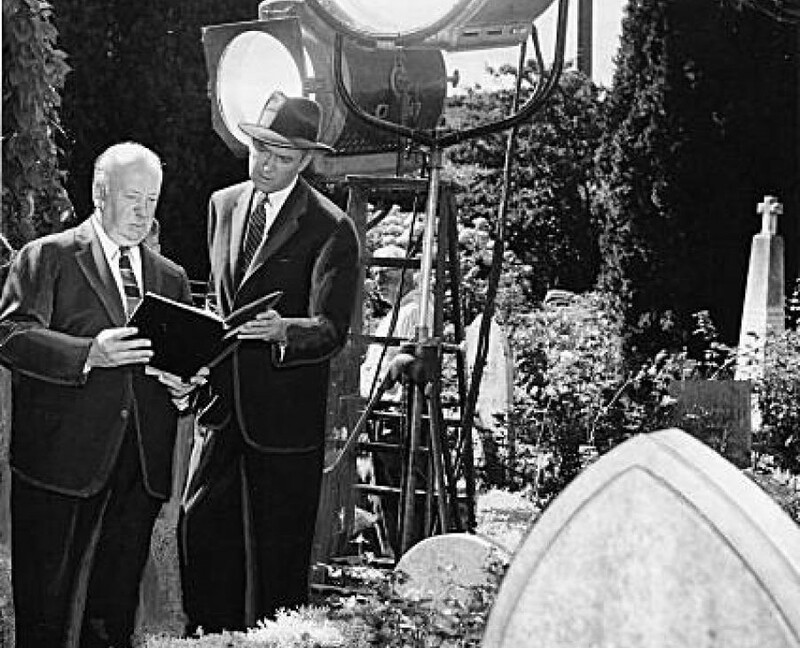 The grave headstone was specifically made as a movie prop and was placed in the cemetery for filming; afterwards it was left there for many years until it was finally removed. 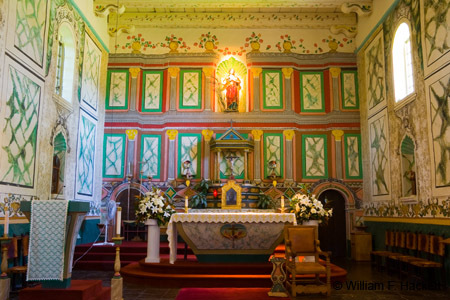 Mission San Rafael Arcangel was founded on December 14, 1817 by Father Vicente de Sarria to become an extension of Mission Dolores and used as a hospital for the Native Americans; it was fittingly named after Saint Raphael the patron saint of good health. The site was selected because the weather north of San Francisco was mild and sunny; Mt. Tamalpais provided a barrier from the cold and constant fog from the bay. 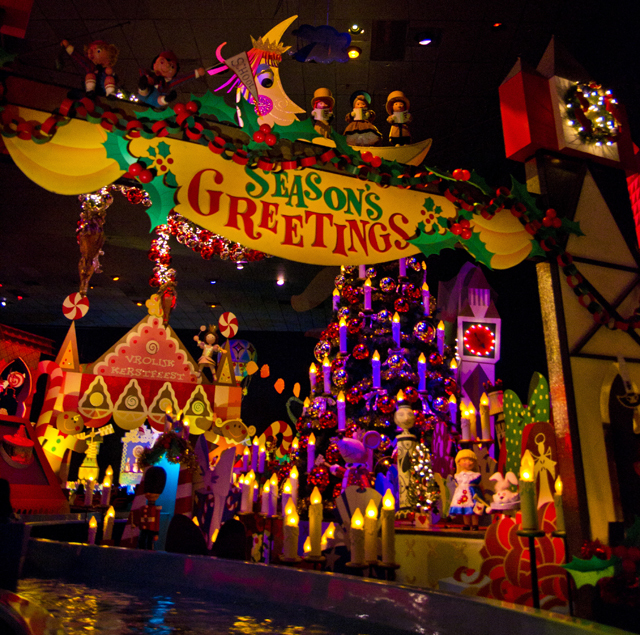 Eventually, more patients from the other Missions in the area were sent there to recuperate. 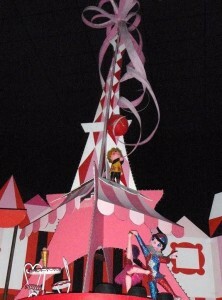 In 1819, a small church was built on the site and the site grew into a relativelt large community. 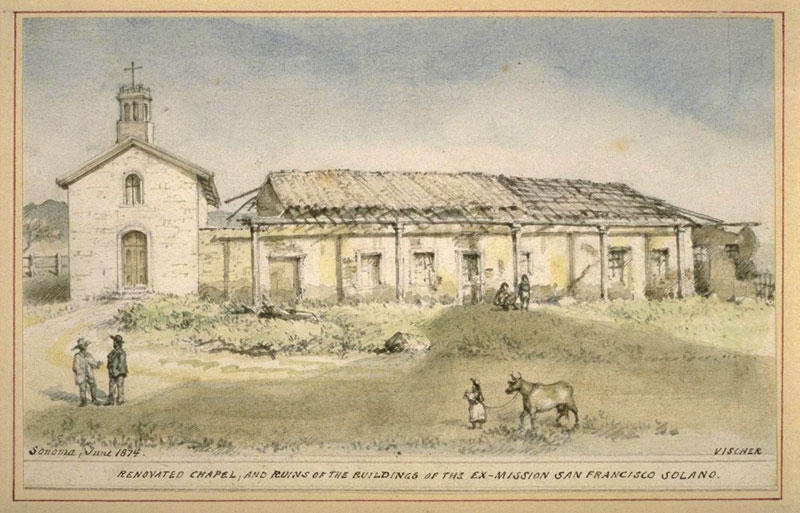 On October 19, 1822 the Mission was declared independent from Mission Dolores and it was granted full mission stature, it would become the 20th California Mission. 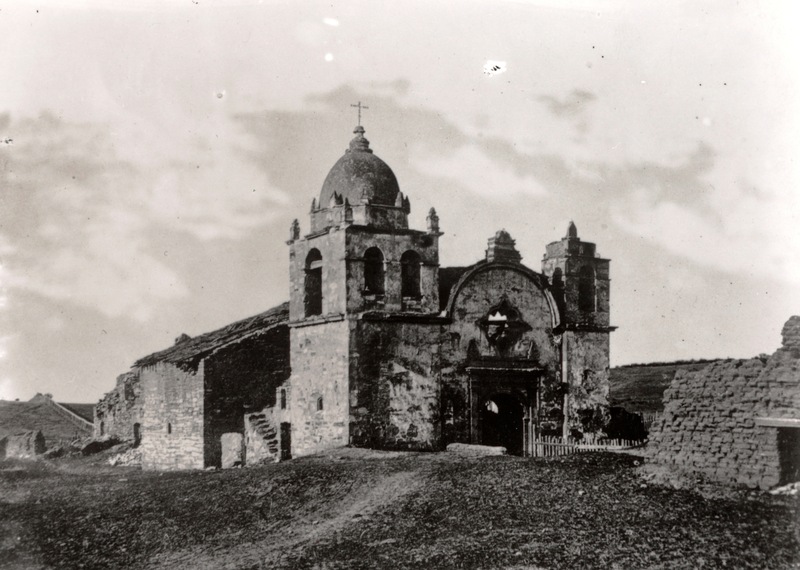 In 1861, after the Mission was returned to the Catholic Church, a new parish church was built near the old Mission ruins and all the dilapidated buildings were cleared to make way for the city of Ran Rafael. Several years later, in 1949, a replica of the Mission church was built near the site of the original hospital and adjacent to the new parish church. Mission San Francisco Solano was founded on July 4, 1823 by Jose Altimira and it is named for St. Francis Solano who was a missionary to the Peruvian Indians. 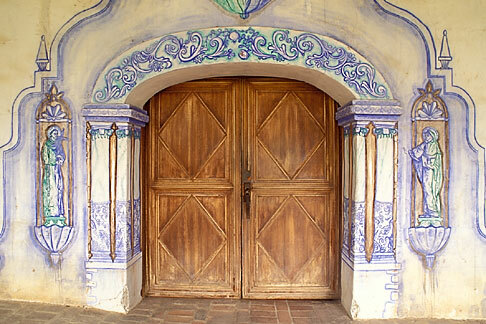 The Mission is the 21st and the last of the California Missions to be established and has the distinction of being the only Mission built after Mexico gained independence from Spain. North of San Francisco the Russians built Fort Ross and the governor wanted to keep them from encroaching further into Alta California so building a mission in this northern region would help to solve the problem. In 1824, a wooden church was built and was later replaced with a larger church in 1827. 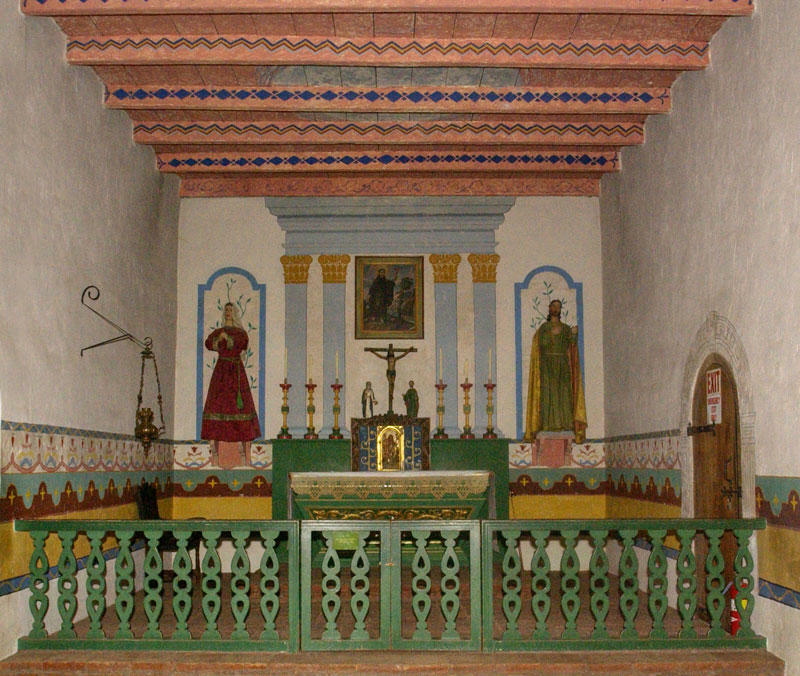 The Mission remained under the administration of the Franciscan padres until 1833 when it was given over to the Zacatecan Order. Then, in 1834, the present day city of Sonoma was founded and the old Mission church became the local parish church and it was used until 1880. 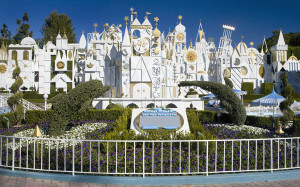 Most of the property had been sold and in 1910 the site became a California Landmark. 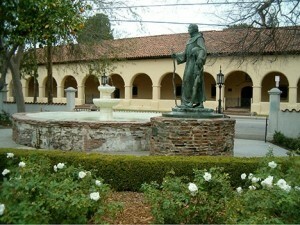 Today, the Mission San Francisco de Solano is part of the Sonoma State Historic Park. This concludes Part Four of the four part series on the California Missions. 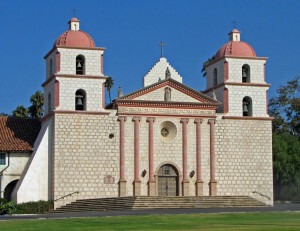 In the series, l discuss all of 21 Missions moving from southern to northern California and starting with the first Mission located in San Diego to the San Buenaventura Mission in Part One, then from the Santa Barbara Mission to the San Miguel Arcangel in Part Two and from San Antonio de Padua to the Santa Cruz in Part Three and then from the Santa Clara de Asis Mission to the most northern Mission San Francisco de Solano in Part Four. Then, in 1833, the Act for the Secularization of the California Missions followed by the Decree of Confiscation in 1834 removed the administration of the Missions from the Catholic Franciscan Padres and given to the Mexican government. Eventually the vast properties of the Missions were divided and land grants were given to prominent Mexicans, these became the famous Ranchos of California. In 1848, after the Mexican-American War and when California became the 31st State in 1850, the United States Army occupied many of the Missions. Some of the Missions were used as garrisons and the soldiers lived in converted barracks. Ultimately, on March 18, 1861, President Abraham Lincoln decreed that the California Missions should be returned to the Catholic Church. Throughout the following years many of the Missions were abandoned or neglected and fell into disrepair while others became local parishes of the Catholic Church that are still in use today. 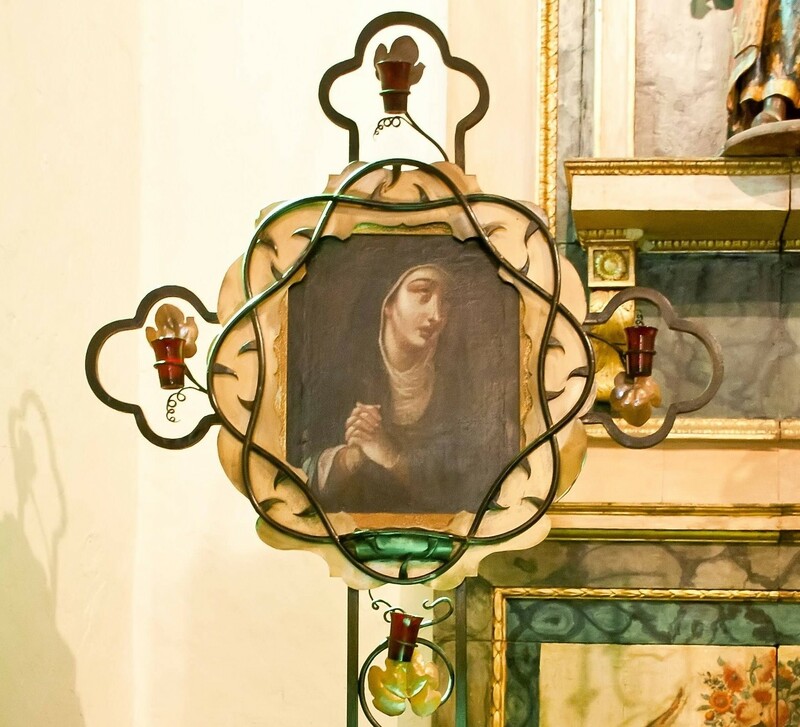 Mission San Antonio de Padua was founded by Father Junipero Serra on July 14, 1771 and is dedicated to Saint Anthony of Padua who is the patron Saint of the poor; it is the third California Mission. As Father Serra left to travel with the Portola expedition in establishing other Missions in Alta California, the other padres were put in charge to build Mission San Antonio. 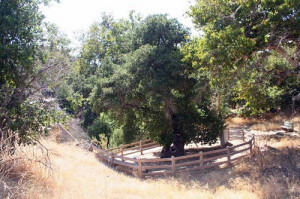 The location chosen for the Mission was a beautiful and peaceful valley where massive oak trees grew situated near the foothills of the Santa Lucia Mountains and with the aid of the local Native Americans a small adobe church was completed in 1782. The Mission Native American population continued to grow and additional buildings, residences for the padres and barracks for the Spanish soldiers and storage rooms for supplies, were also built. A system of water distribution was constructed with a dam and aqueducts to distribute water to grow the crops in the fields surrounding the Mission. A simple but effective water powered grist mill was also constructed for grinding the grain. By 1813, a larger church was built to accommodate the growing Native American population that lived at the Mission and this is the building that visitors to Mission San Antonio will see today. Mission Nuestra Senora de la Soledad was founded by Father Fermin Francisco de Lasuen on October 9, 1791 and it is dedicated to Mary Our Lady of Solitude, it is the 14th California Mission. Mission Soledad is located in the fertile Salinas Valley and the padres had very high hopes that the chosen site would prove to be a good one. Unfortunately, supplies intended for the Mission were lost or appropriated to another Mission and then extreme weather conditions delayed construction so as a result of these problems it took almost six years for the padres to finally build a small thatch-roofed adobe church, it was eventually enlarged in 1805. 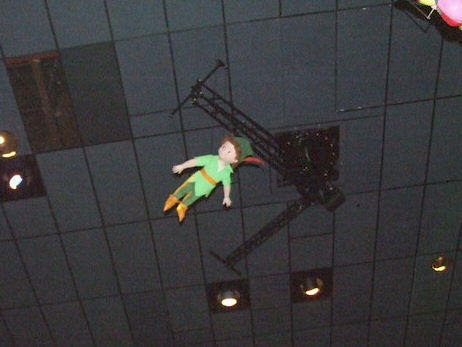 Over the following years, more unfortunate events prevented the future success of the Mission Soledad. The Native Americans that lived at the Mission were affected by a serious epidemic and many died; the remaining ones left the Mission in fear that they would also become infected by this mysterious illness. Then after an unusually severe winter, the buildings collapsed and most of the padres complaining of the cold and damp conditions or stricken with rheumatism were transferred to other Missions. Sadly, in May 1835, the last padre left at the nearly deserted Mission Soledad, Father Vicente Francisco de Sarris was found dead and lying at the altar of the church. His body was carried to Mission San Antonio for burial. The Mexican government secularized and then confiscated the California Missions and the properties were given away or sold. In 1859, the Missions were returned to the Catholic Church but the Mission Soledad remained abandoned and the buildings collapsed from many years of neglect. 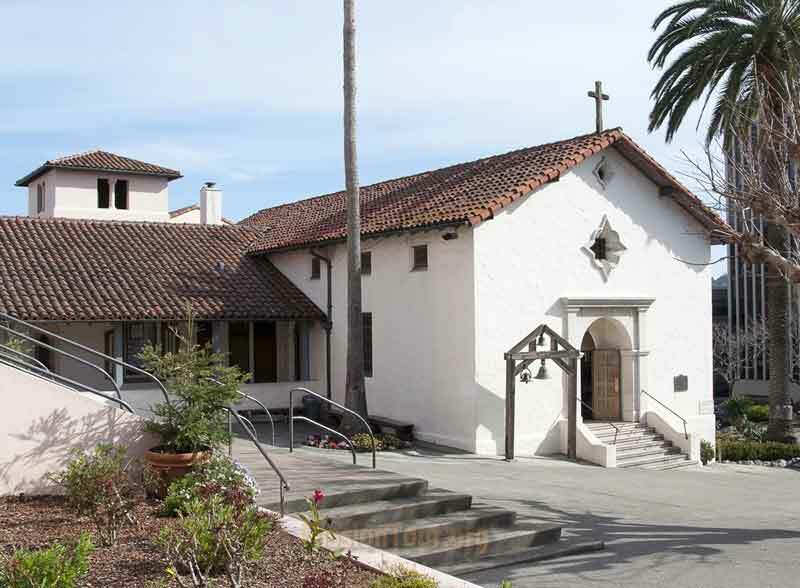 Almost one hundred years later, in 1954, a restoration project was approved and the small chapel was rebuilt, it is currently used as a local parish for the Diocese of Monterey. 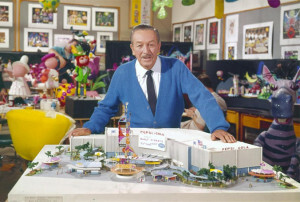 In 1963, the padres’ residence was also rebuilt as a small museum. After founding the first mission in San Diego, it was the goal of the Franciscan padres to build a chain of Missions along the coast of Alta California and convert the Native Americans to Christianity. 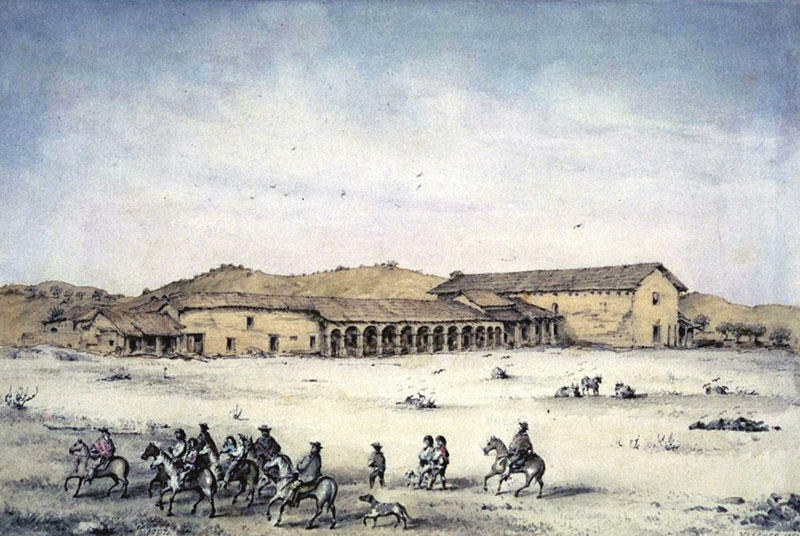 A group of Spanish military soldiers of the Portola expedition was dispatched from San Diego to travel over 400 miles to northern California to build a Presidio near Monterey Bay. 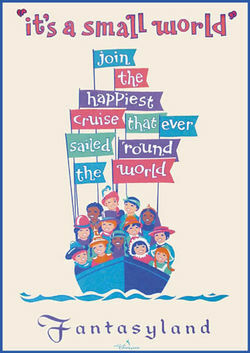 At the same time, Father Serra and the other members of the expedition sailed from San Diego in April 1770 on the “San Antonio” ship with supplies and equipment. Mission San Carlos Borromeo de Carmelo was founded June 3, 1770 by Father Junipero Serra and is currently located near the present day city of Carmel; it is the second mission of the California Missions. 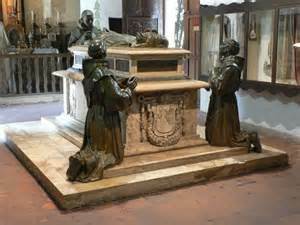 The Mission is dedicated to Saint Charles Borromeo who was a 16th century Archbishop from Milan, Italy. 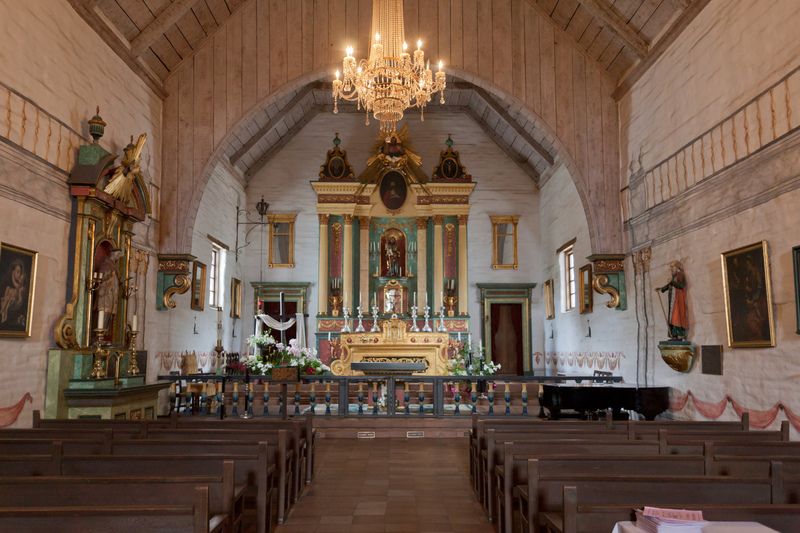 Originally, the Mission Carmel was located closer to Monterey Bay where the Portola Expedition had landed and it took six months to build the church at the Presidio. 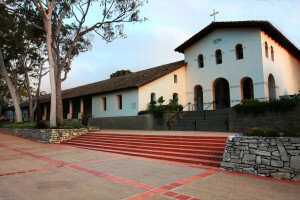 A year later, Father Serra decided that the Mission would be better positioned separate from the Presidio to encourage the Native Americans, who had been rather intimidated by the close proximity of the Spanish soldiers, to join the Mission. 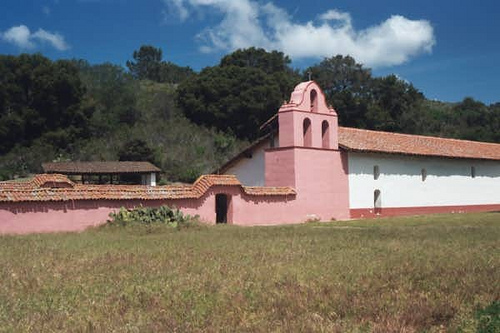 A site was chosen five miles to the south of the Presidio in a beautiful and fertile area along the banks of the Carmel River and a new church was built; the old Presidio church formerly used as the Mission continued to be used by the soldiers of the garrison until 1794. The Mission Carmel church started construction in 1791 and was completed in 1797 under the direction of Father Lausen, the successor of Father Serra. The stone of the Mission was quarried locally and Manuel Ruiz, a master mason, designed the building. It is one of the more beautiful of the California Missions and features two asymmetrical bell towers, one designed with a Moorish-style dome, and also a unique star window over the front entrance. (It has been said that the window was originally intended to be placed on the rectangular side rather than seemingly balanced on one of its points) The interior of the church features a Gothic-style vaulted ceiling, which was an unusual design for a Mission, and today placed upon the altar is the silver service which was originally used by Father Serra. 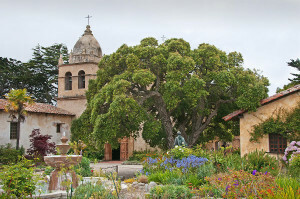 After the Mexican government secularized and then confiscated the California Missions, the property of the Mission Carmel was abandoned for several years. 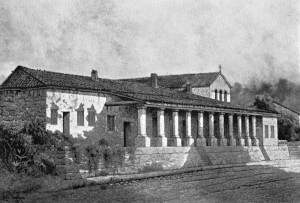 Then, after President Lincoln decreed that the California Missions be returned to the Catholic Church, the slow process of restoration of the Mission Carmel was conducted in 1884, 1924 and 1936. 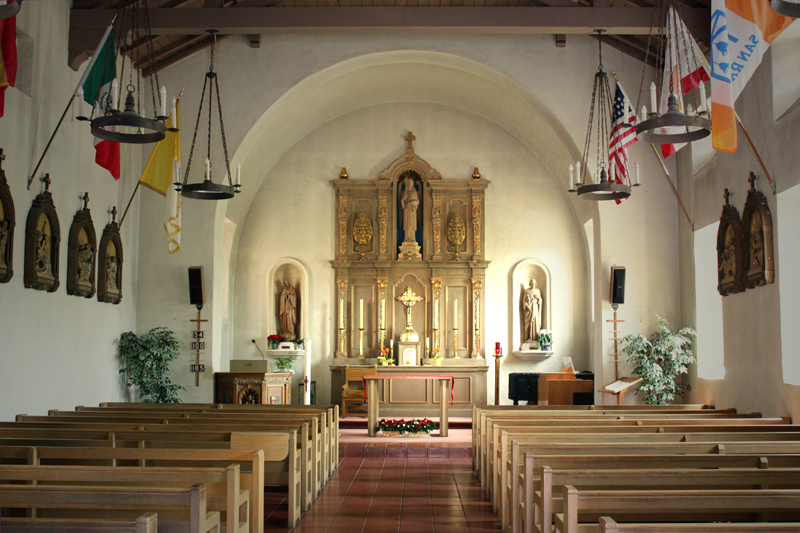 In 1933, the control of the Mission was transferred from the Franciscan Order to the local Diocese of Monterey to be used as a parish church. In 1960, Pope John XXIII designated the Mission Carmel as a basilica. 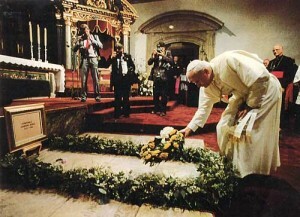 In 1987, the popular Pope John Paul II visited the Mission as part of his U.S. tour. 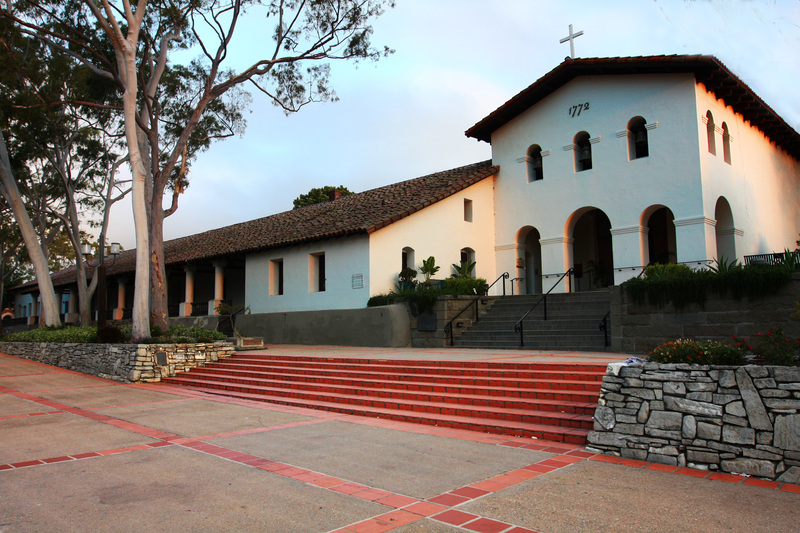 Today, the Mission Carmel is a National Historic Landmark administrated by the National Park Service. 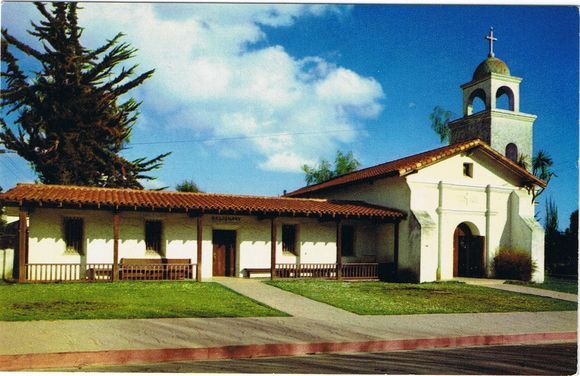 Mission Trivia: Father Serra preferred the setting of the Mission Carmel and decided to make it his headquarters in Alta California, although he continued to travel throughout the region in establishing additional Missions he always returned to the Mission Carmel. 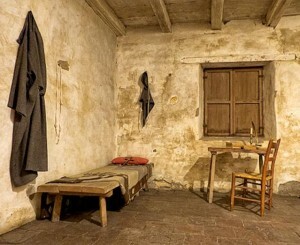 Today, visitors to the Mission will be able to see Father Serra’s room which is furnished rather sparingly due to the padre’s vow of poverty taken in his service to the Catholic Church. Father Serra died in 1784 at the Mission Carmel and is buried within the church and the large sarcophagus display was created by the sculptor Jo Mora and it depicts Father Serra at the time of his death, with the figures of Father Crespi standing at the head and Father Lausen and Father Lopez kneeling at the foot of the stone coffin. Mission San Juan Bautista was founded on June 24, 1797 by Father Lasuen and is named for Saint John the Baptist; it is the 15th California Mission. 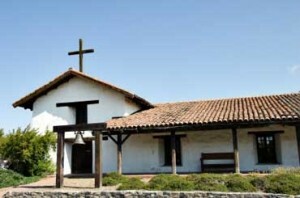 The Mission is located near the present day city of San Juan Bautista and is about 17 miles north of Salinas. 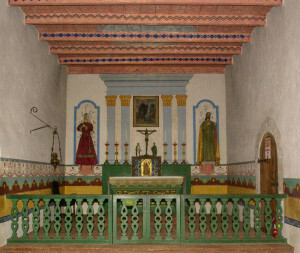 The first small adobe church at the Mission was built by the local Native Americans and was completed in 1798. In the early years of the Mission, the Native American population grew very quickly to over one thousand and by 1803 there were several more building constructed for the padres’ residence and barracks for the soldiers as well as housing for the Native Americans. 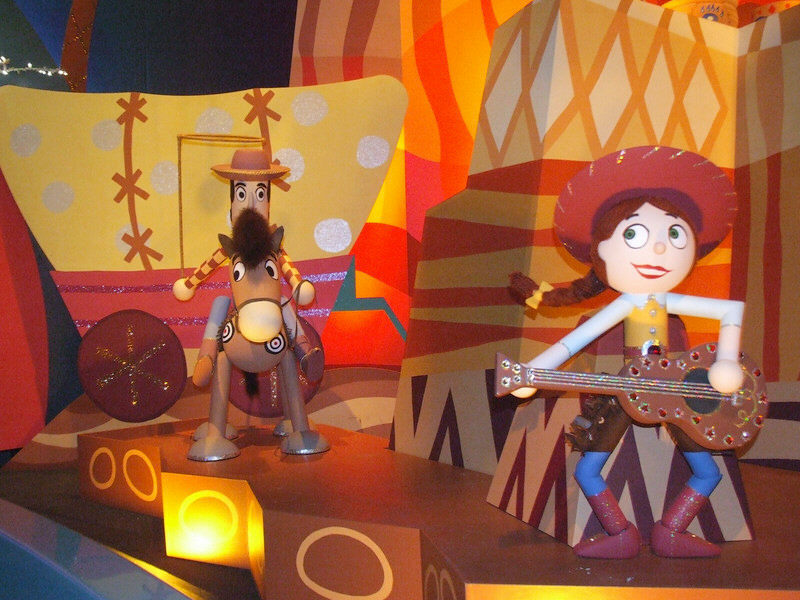 The Mission prospered and they grew wheat, barley and corn and also maintained a herd of over a thousand cattle, over 4,000 sheep and over 500 horses. 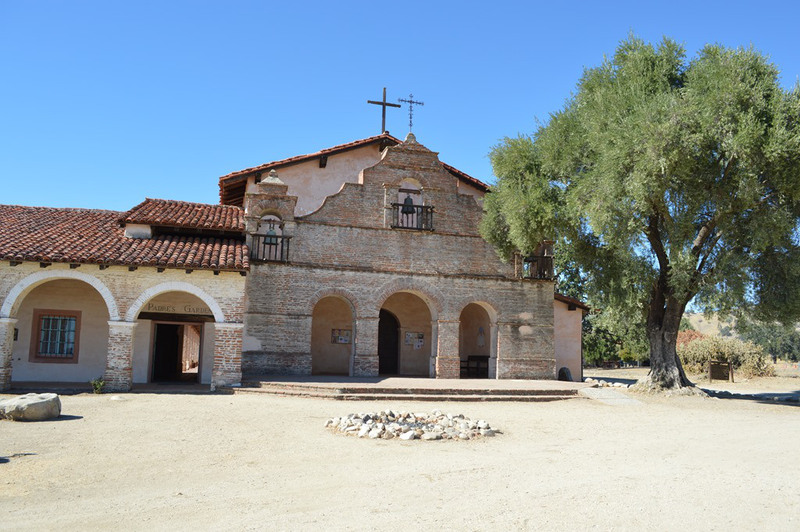 Unfortunately, like some of the other Missions, the Mission San Juan Bautista was built near the massive San Andreas Fault which runs almost the entire length of California. In 1800 and then again in 1906, the Mission suffered severe damage from earthquakes and the building were repaired several times. 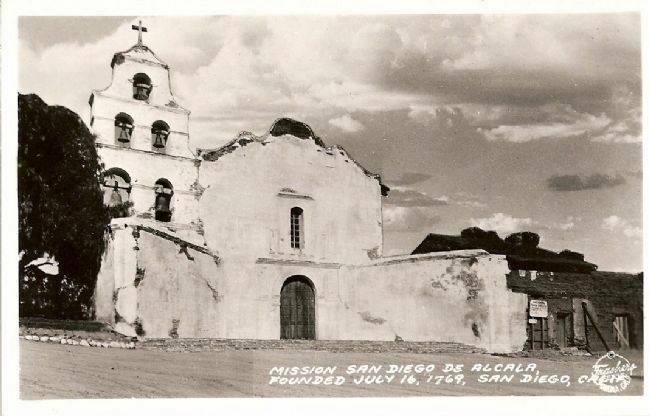 Then in 1949, the Mission received funding from the Hearst Foundations and extensive restorations of the existing buildings began to repair the damage from years of neglect after the secularization and confiscation of the California Missions by the Mexican government. 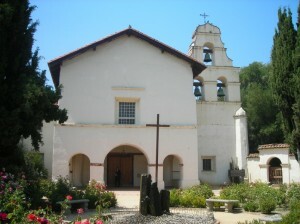 Most recently, in 2010 the campanario (bell tower) near the entrance to the Mission was rebuilt and three of the original Mission bells were placed inside. 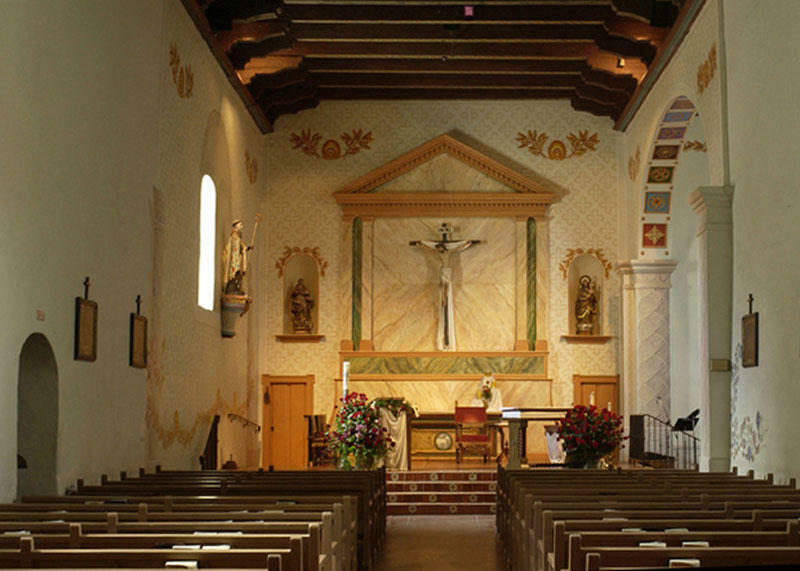 Today, the Mission San Juan Bautista serves as a local parish for the Diocese of Monterey. 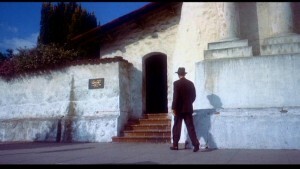 Mission Trivia: The Mission San Juan Bautista is prominently seen in the 1958 Alfred Hitchcock psychological thriller “Vertigo”, which is based on the 1954 novel “D’entre les morts” (Among the Dead) by Boileau-Narcejac. 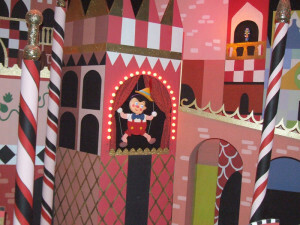 The classic plot of suspense, deceit, mistaken identity and death centers on Scottie Ferguson (played by Jimmy Stewart) who is a former police detective that is forced into early retirement because of a traumatic incident which caused him to develop acrophobia (an extreme fear of heights) and vertigo (a sensation of false movement). Scottie, who is now retired and working as a private investigator, is hired by Gavin Elster to follow his wife Madeline (played Kim Novak), who is behaving very strangely. 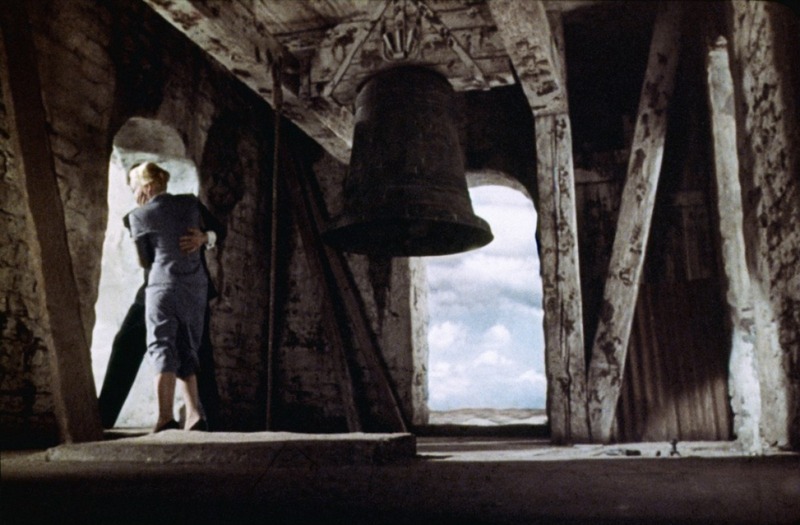 In one of the most dramatic scenes of the movie, Scottie confronts Madeline at the top of a Mission bell tower and confesses his love before she tragically slips and falls to her death. 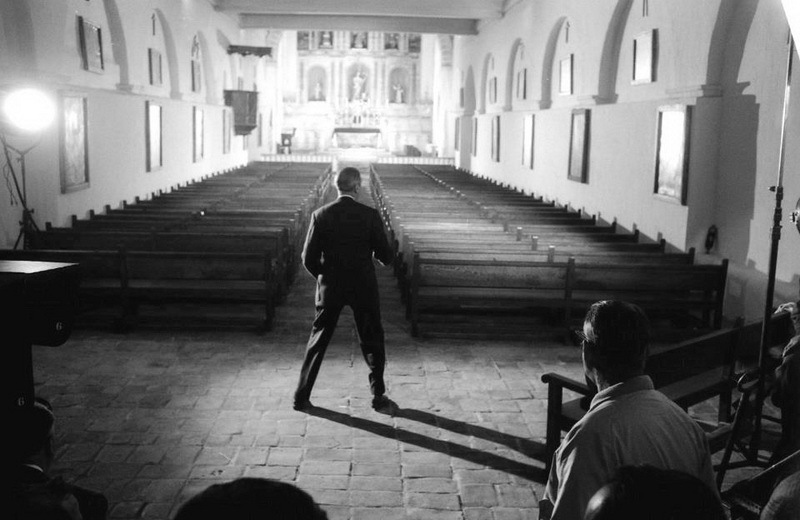 On the pre-production location scouting trip, the Mission San Juan Bautista was selected because of its bell tower, but unfortunately when the studio returned to the Mission many months later the bell tower had been torn down. 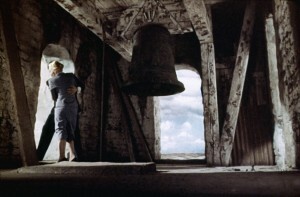 Hitchcock still wanted to use the Mission for the interior and exterior shots anyway and in post-production a painting was used to “re-create” the bell tower and the dramatic height need for the climactic scene of the movie. Mission Santa Cruz was founded on August 28, 1791 by Father Lasuen and is dedicated to the Sacred Cross; it is the 13th of the California Missions. The site chosen for the Mission was located along the banks of the San Lorenzo River and the first church was built measuring 112 feet long, 29 feet wide and 25 feet in height with adobe walls that were five feet thick and by 1795 the quadrangle was completed, it is one of the smallest missions. Over the following years, despite the fact of its location near the Presidio of Monterey, the Mission was often attacked by hostile Native Americans. In 1787 govenor Diego de Borica founded a small town named Branciforte located across the San Lorenzo River and just five miles east of the Mission Santa Cruz. 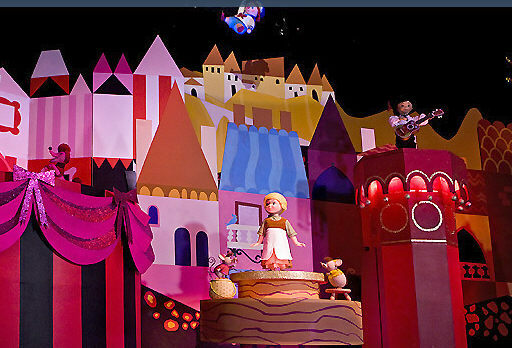 The location chosen greatly distressed the padres because the new community would be populated by unsavory settlers that were “bribed” with the offer of an annual salary and housing. 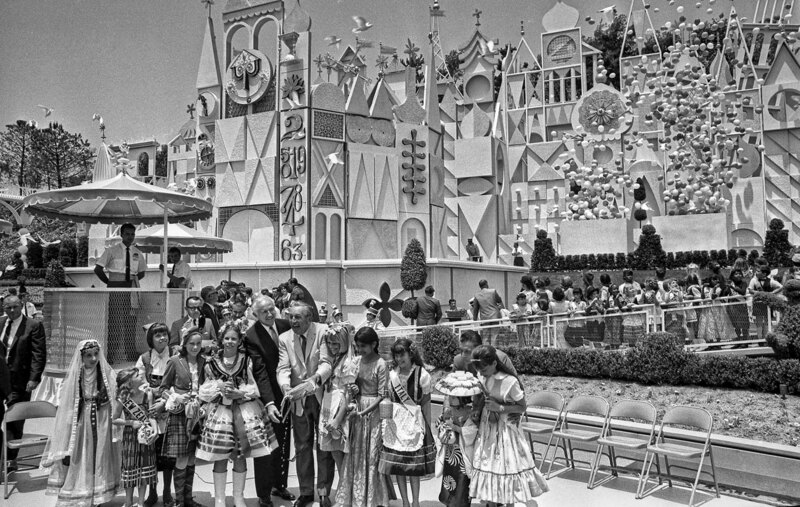 Eventually, the Mission population declined as the Native Americans either ran away or died from disease. 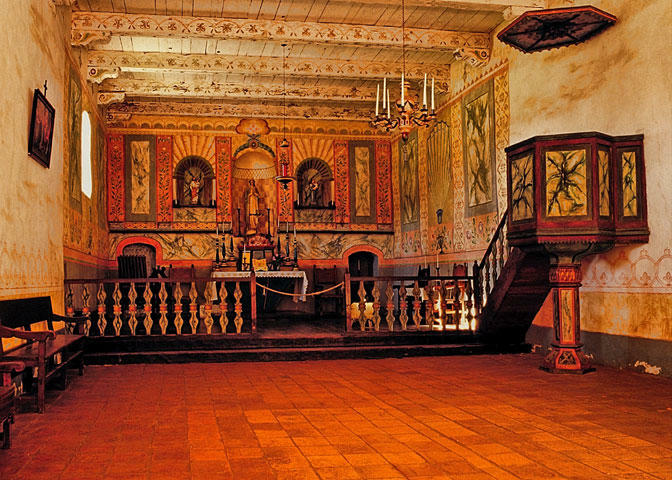 Then, when the California Missions were secularized and then confiscated by the Mexican government, the property of the Mission Santa Cruz was given away or sold and the buildings remained abandoned for many years. In 1889, the current Gothic-Revival Holy Cross Church was built near the site of the former Mission Santa Cruz and today it serves as a local parish for the Diocese of Monterey. Located behind the Holy Cross Church and the cemetery is the one of last remaining walls of the original 32 buildings of the Mission. In 1931, a small one-third scale replica of the original Mission Church was built near the site; currently it is used mainly for private services. 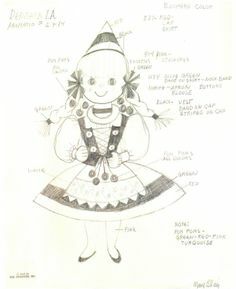 The replica was commissioned by Gladys Sullivan Doyle and she funded most of the construction costs on the stipulation that she be buried inside and curious visitors can view her grave in a small side room. 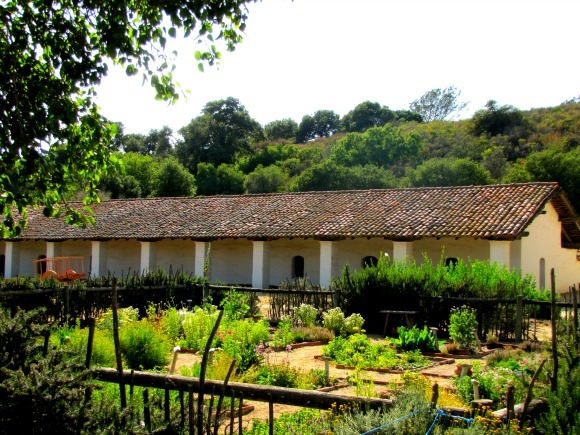 Today, there is only one original Mission building that was used centuries ago as a dormitory for the Native Americans and it is currently used as a museum for the Santa Cruz Mission State Historic Park. This concludes Part Three of the four part series on the California Missions. 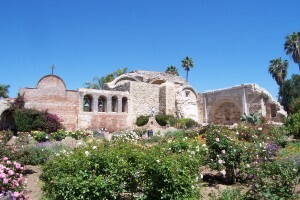 In the series, l discuss all of 21 Missions moving from southern to northern California and starting with the first Mission located in San Diego to the San Buenaventura Mission in Part One, then from the Santa Barbara Mission to the San Miguel Arcangel in Part Two and from San Antonio de Padua to the Santa Cruz in Part Three and then from the Santa Clara de Asis Mission to the most northern Mission San Francisco de Solano in Part Four. Mission Santa Barbara was founded by Father Fermin Lasuen on December 4, 1786; it is the 11th Mission of the California Missions. The Mission is named for Saint Barbara and it is located in Central California in the beautiful resort city of Santa Barbara. Today it remains the only California Mission still under the continuous administration of the Franciscan Order. Centuries before the Mission Santa Barbara was established, a Spanish explorer Sebastian Vizcaino visited the region. This was almost 60 years before another Spanish explorer named Juan Cabrillo had traveled up the coast of Alta California in 1542. 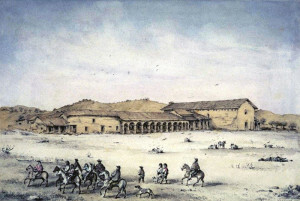 Later, in 1782, the Portola expedition of Spanish military soldiers and Franciscan padres visited the area and the site was noted as a possible location for a future Mission. But it took several more years before the Mission Santa Barbara was established because Governor Felipe de Neve and Father Junipero Serra did not agree as to when the Mission would be built, Governor de Neve felt that the establishment of the Presidio took priority over the building of the Mission. Finally in 1784, Father Serra received confirmation that the funds were available to precede with the construction. Unfortunately Father Serra died shortly afterwards and Father Lasuen took over the administration of the California Missions. 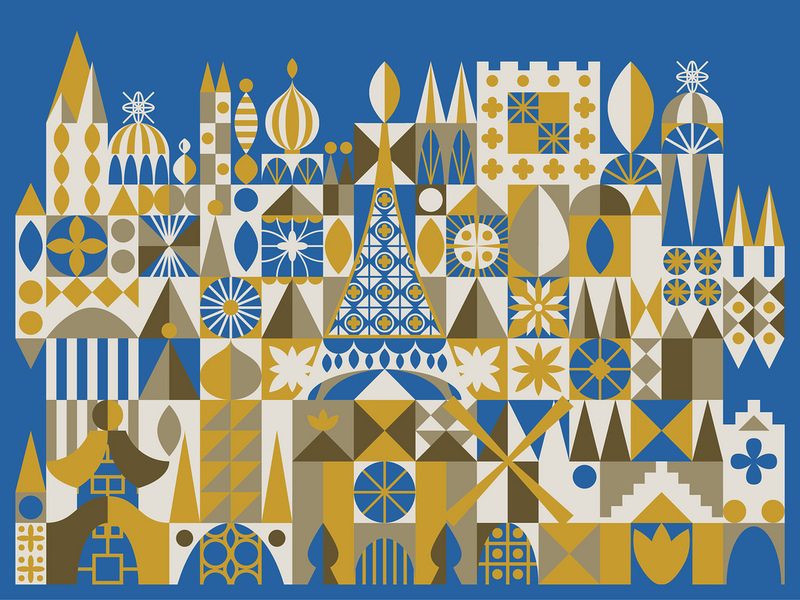 Over the next decade, three different churches were built on the site. 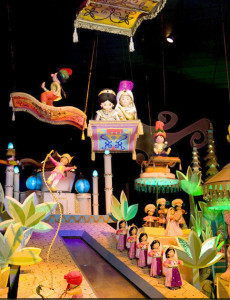 The first church was a small building was erected with a thatch roof and dirt floors. Then in 1789, a larger adobe church was built with a clay tile roof. By 1794, an even larger church was built to accommodate the growing Mission population and a large quadrangle was also built to enclose the Mission church, dormitories, kitchen, storage rooms and warehouses. 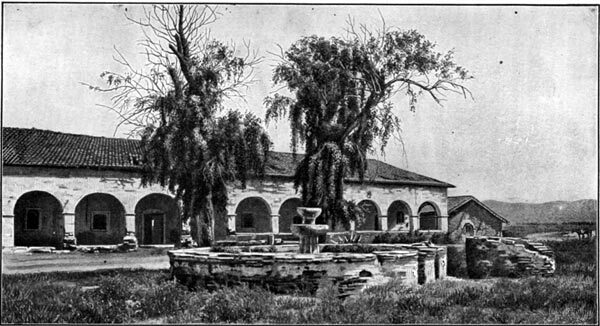 A large Moorish-style fountain was built in 1808 and it was part of a larger water system of the Mission with a dam (still located in the present day Santa Barbara Botanical Garden), two reservoirs, aqueducts and even a stone laundry basin located in front of the Mission. 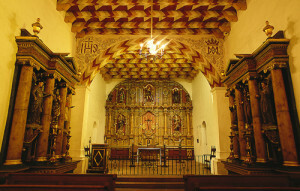 After the Mission was severely damaged in the 1812 Santa Barbara earthquake the decision was made to rebuilt the church. It has been said that the inspiration came from a book on ancient architecture that the padres had in the Mission library, in particular a Roman temple originally designed by Vitruvio Polion in 27 B.C. Construction began shortly after the earthquake and was completed in 1820; the new church measured 161 feet in length, 27 feet wide and 42 feet high. The Greco-Roman style stone façade features several Doric columns positioned below a triangular pediment with 87 feet high toers on both sides, the first tower was built was completed in 1820 and the second tower was completed in 1833. After another earthquake hit the Santa Barbara area in 1925 and afterwards the stone façade was rebuilt and reinforced with steel and concrete, but the interior of the Mission church has remained unchanged since 1820. The Mission Santa Barbara is different than the other 20 California Missions in the fact that it has been continuously occupied by the Franciscan Order. 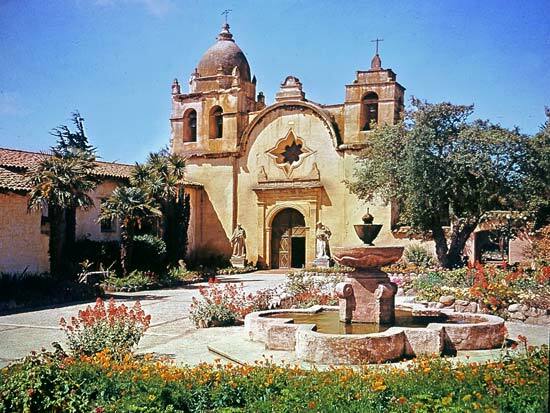 After the Mexican government secularized the California Missions in 1833, the new head of the Franciscan Order, Father Narciso Duran, moved the headquarters to the Mission Santa Barbara and later the new Bishop of California also set up his headquarters at the Mission. 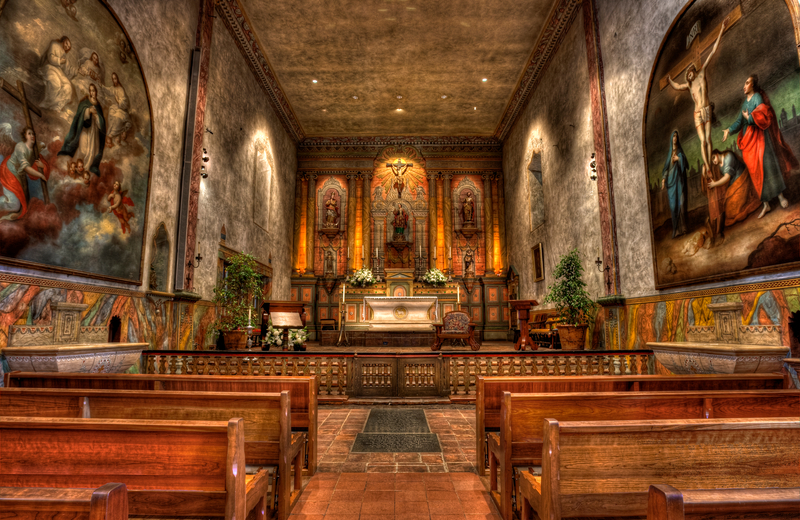 For these reasons, the Mission Santa Barbara became the oldest library in the State of California which has been continuously administrated by the Franciscan Order. 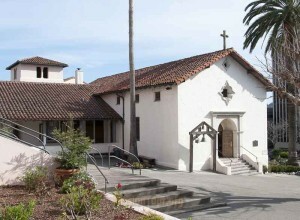 The library and archives hold the original journals and letters of Father Junipero Serra, over 3,000 original California Mission documents that were formerly held at the other various 21 Missions and also a large collection of books, maps and prints pertaining to the early history of California. 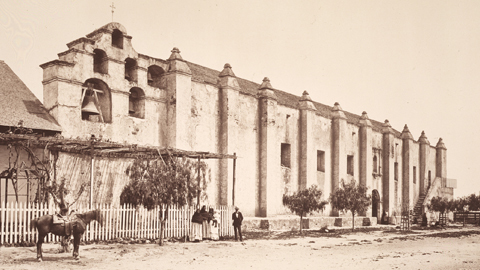 In 1861, when President Lincoln decreed that the California Mission be returned to the Catholic Church, the deed for the Mission Santa Barbara was officially given to the Franciscan Order. 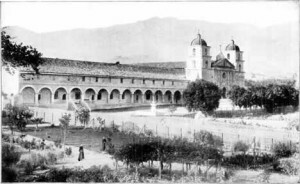 The property and buildings directly adjacent to the Mission were used as throughout the following years as a higher learning facility and in 1901 it became the Saint Anthony’s Seminary. Today, the city of Santa Barbara has grown into a resort destination and the area near the Mission has been surrounded by private residences. Mission Santa Barbara, the “Queen of the Missions” remains an active local Catholic parish of the Diocese of Los Angeles. Mission Santa Ines (Ynez) was founded on September 17, 1804 by Father Estevan Tapis; it is the 19th California Mission. The Mission is named for St. Agnes of Rome and is located in the San Ynez Valley near the charming city of Solvang. It was established to be halfway between the Mission Santa Barbara and Mission La Purisima Concepcion to serve the large Chumash Native American population that lived on the central coast area of Alta California. By 1812, the Mission church was completed and then disaster struck when a large earthquake centered 45 miles southwest in Santa Barbara and destroyed the building. 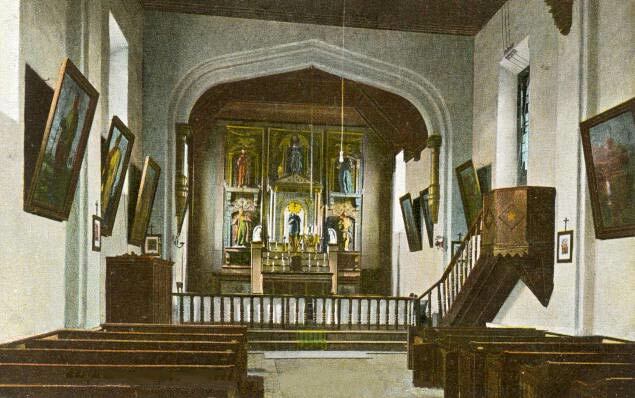 The new church, completed in 1817, was rebuilt with sturdy 5 foot thick walls and pine beams made from the trees in the local mountains; the appearance of the interior has changed very little since 1820. After months of Native American unrest against the Spanish military soldiers and the Franciscan padres, the Chumash Revolt of 1824 was started after a soldier at the Mission San Ines attacked a young Native American girl. 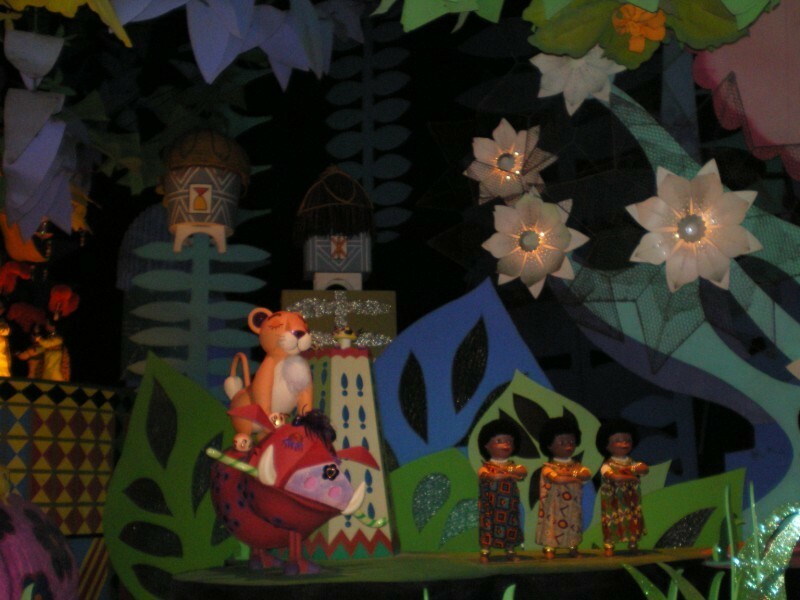 In retaliation the Chumash attacked the Mission and set fire to the property. When the confrontation was over, the Mission Church was burning but, suddenly feeling concerned about what they had done, the Chumash quickly put out the fire and the building was saved. Afterwards, still unhappy with their controlled treatment by the Spanish soldiers and the Franciscan padres, most of the Chumash left the Mission never to return. 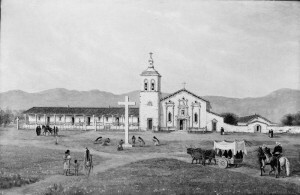 In 1833, the California Missions were secularized and the surrounding property of the Mission Santa Ines was divided and given away as land grants. 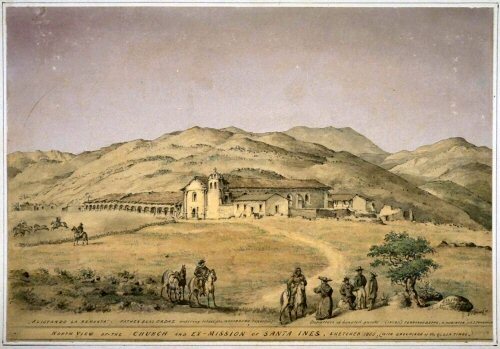 Then in 1843, the Mexican governor once again took control of the land and gifted 34,499 acres in the Santa Ynez Valley to the Archdiocese of Los Angeles and the College of Our Lady of Refuge was created as the first Catholic seminary in California. Almost forty years later the college was closed and abandoned in 1881, the land was eventually sold to private owners the following year. The Mission buildings fell into disrepair and Father Alexander Buckler of the Capuchin Franciscan Order slowly began renovations which continued until his death in 1930. Much later in 1949, from funds received by the William Hearst Foundation, the dilapidated bell tower of the Mission was fully restored. 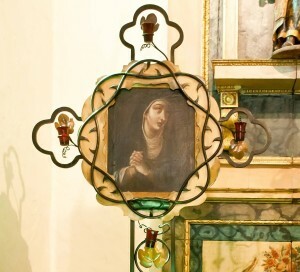 The mural on the walls of the interior Mission church which were painted over were also being uncovered and restored, the wooded figurine of Saint Agnes reverently still stands near the center of the altar. Throughout the years, the charming Danish village of Solvang has been built nearby and today the Mission Santa Ines is used by the local parish of the Archdiocese of Los Angeles. Mission La Purisima Concepcion was founded on December 8, 1787 (the Feast of the Immaculate Conception) and is located near the present day city of Lompoc; it is the 12th California Mission to be established. The Mission church construction was started in 1788 and completed in 1791. The Chumash Native Americans in the region were initially receptive to the Mission System and there were several hundred baptisms performed during the first years of the Mission La Purisima. The Mission also prospered by increasing their livestock herds to over three thousand cattle, over five thousand sheep, over three hundred horses and almost 40 mules. 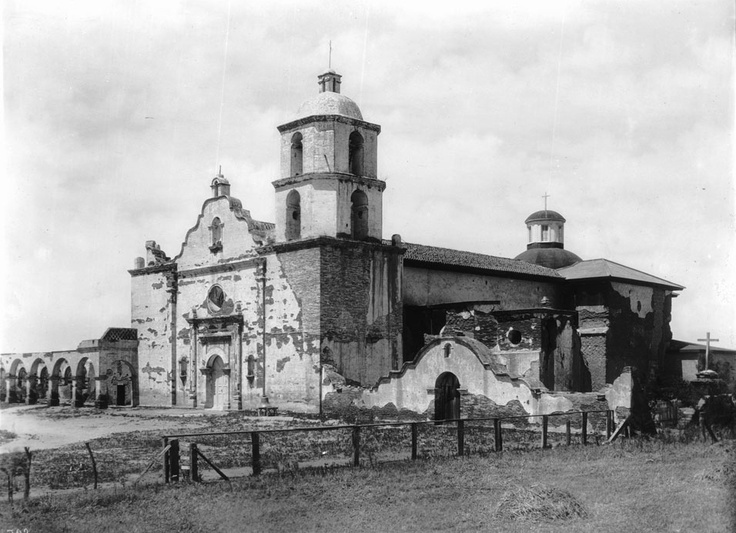 Then, in 1812, a devastating earthquake stuck the region followed by a series of aftershocks that severely damaged the Mission La Purisima. The decision was made to move the Mission several miles to the east and a new church was built and completed in 1815, the ruins of the original Mission can still be seen today in Lompoc. 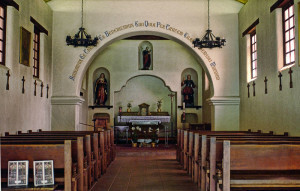 Today, the Mission is no longer used as a Catholic parish but instead it has become part of the La Purisima Mission California State Historic Park that includes 967 acres with a comprehensive visitor center and guided tours which is administrated and maintained by the California Department of Parks and Recreation. The Mission is also noted today as a living history venue which features volunteers dressed in period costumes and demonstrating crafts dating back to the mid to late 18th century. 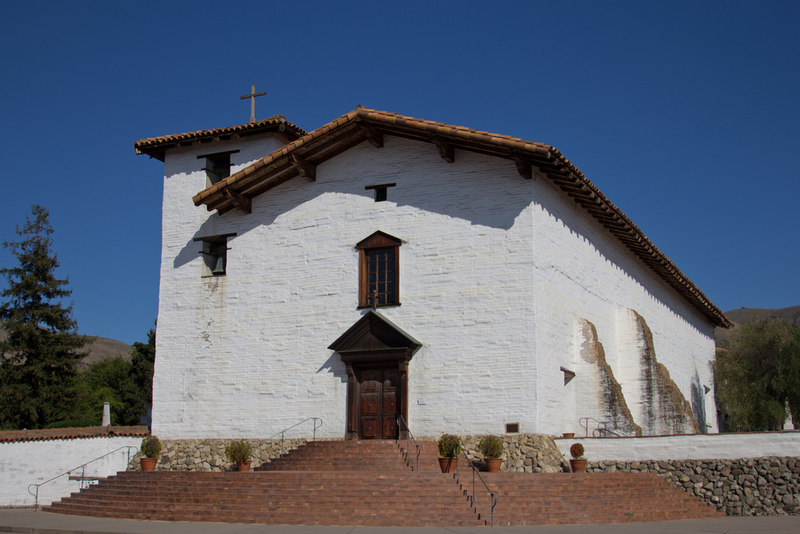 The Mission San Luis Obispo de Tolosa was founded on September 1, 1772 by Father Junipero Serra near the present day city of San Luis Obispo; it is the 5th California Mission. 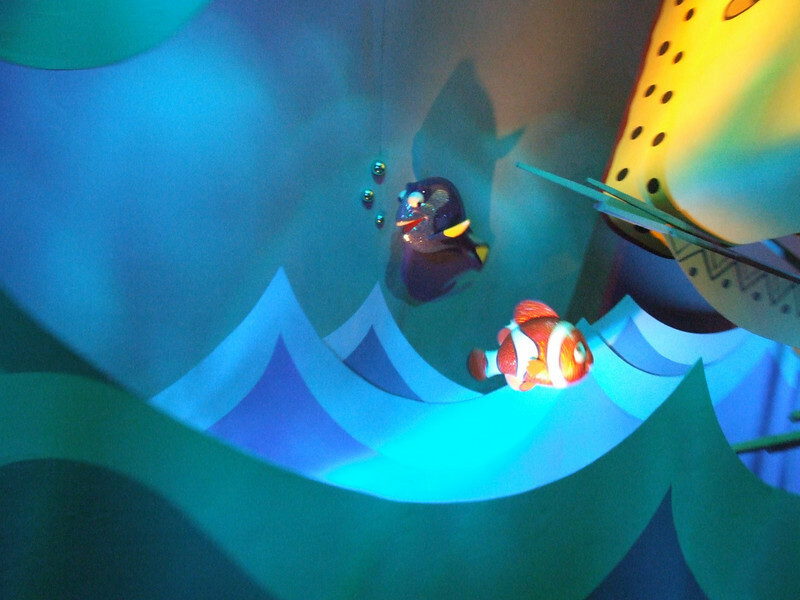 The Mission was named for Saint Louis of Anjou who was the bishop of Toulouse, France. Several years earlier, in 1769, the Spanish Portola expedition entered the area which they called the “Valley of the Bears” because of the abundance of bears, soldiers of the expedition returned a year later to establish a military settlement and the Mission Carmel a little further north up the coast near Monterey Bay. Several years later, when food sources at the Presidio and Mission Carmel started to decrease, a hunting party was sent south to the Valley of the Bears to secure a fresh supply of bear meat and Father Serra decided that the location would be a good site to establish another Mission, the Mission San Luis Obispo would eventually be built near the San Luis Obispo Creek. 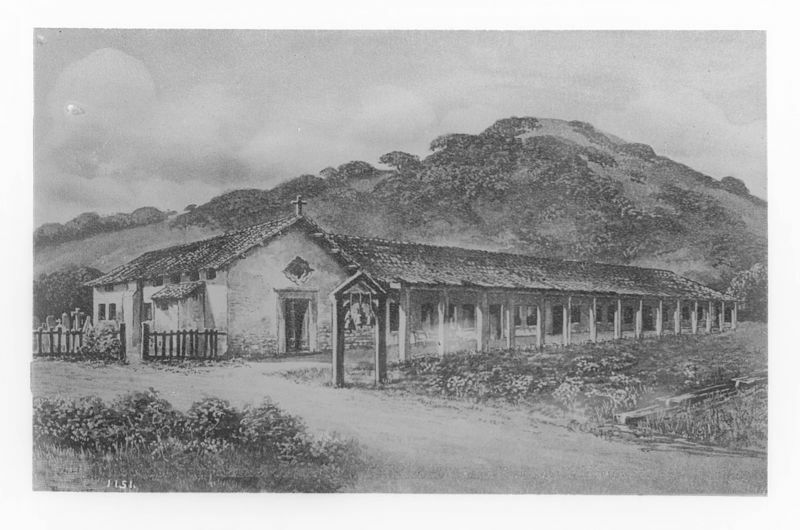 Between 1794 and 1809, the Mission San Luis Obispo went through extensive building construction. The Mission church was an unusual L-shaped design, most church were traditionally built in a standard cross shape. Additional buildings were constructed and eventually enclosed within the large quadrangle in 1819. To celebrate the completion of the Mission, two bells made in Lima, Peru where placed in the bell tower. After the California Missions were secularized, the Mission San Luis Obispo property was divided and sold. Then in 1846, John Fremont and his group of military soldiers, known as the “California Battalion”, used the Mission San Luis Obispo as their headquarters during the “Bear Flag Revolt” and the buildings were converted into barracks. Later, the Mission was abandoned and several years passed before it was used as the San Luis Obispo County’s first courthouse and jail. Then, in 1933, the Mission underwent an extensive restoration project and it is the centerpiece of the Plaza in downtown San Luis Obispo, the Mission is currently used as a Catholic parish church of the Diocese of Monterey. 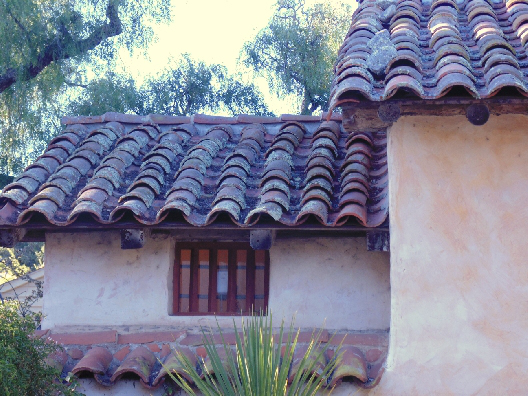 Mission Trivia: Today, the California Missions have become known for their iconic red clay tiled roofs but the roofs of the first Missions were mostly made of dried grass. As the years passed and there were several instances when the thatched roofs caught fire and destroyed the buildings this prompted the need to find a more fire-resistant material. The padres at Mission San Luis Obispo recalled the tiled roofs of their native Spain and soon began making tiles from the local red clay; they supplied the tile for many of the 21 California Missions. 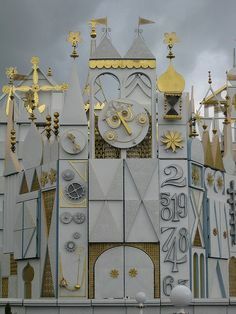 Water and clay were mixed together and then flattened to the correct thickness and then placed over curved wooden forms with a layer of sand used between the clay and the form to keep the tiles from sticking, the tiles were approximately 22″ long and tapered 12″ to 20” across. 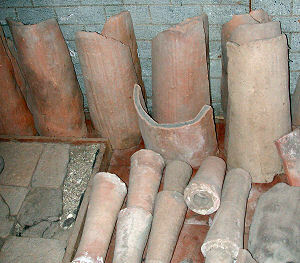 After trimming off the edges excess clay, the tiles were first dried in the sun and then baked in a kiln. Mission San Miguel Arcangel was founded on July 25, 1797 by Father Lausen and it is named for Saint Michael the Archangel; it is the 16th of the California Missions. 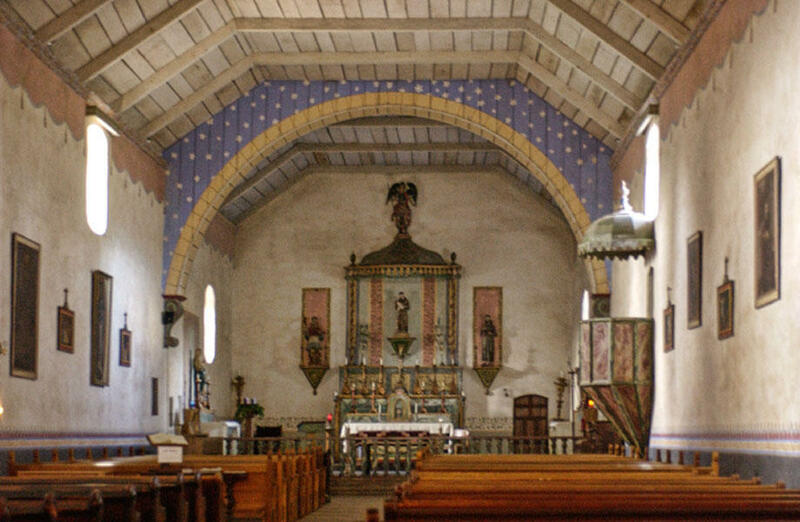 The location of the Mission was considered ideal since it was situated in a fertile valley and near two rivers, the Nacimiento and the Salinas. The site was also within easy travel distance from the San Joaquin Valley which had a large population of Native Americans which the Franciscan padres hoped to convert to Christianity. A small wooden chapel was originally built but within a year it was replaced by a larger adobe church, unfortunately it destroyed by fire in 1806. The current church was built between 1816 and 1818; it is 144 feet long and 27 feet wide with a 40 feet high ceiling. 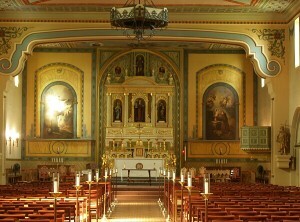 The interior walls of the church were painted by Estevan Munras, a Spanish artist, in 1818 but the beautiful and vibrant colors of the murals, trompe l’oeils (a painting specifically created to give the illusion of a three-dimensional object) and reredos (a decoration behind the altar of a church usually depicting religious images) can still be seen today. 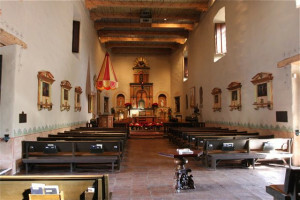 The history of the Mission San Miguel follows like most of the California Missions through the Act for the Secularization of the California Missions then by the Decree of Confiscation which removed the administration of the Missions from the Catholic Franciscan Padres and given to the Mexican government. Like the other Mission the properties of Mission San Miguel but years later President Abraham Lincoln decreed that the California Missions should be returned to the Catholic Church. 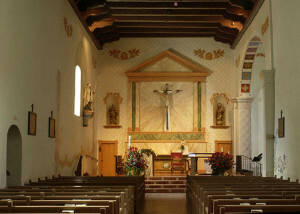 Today, the Mission is currently a local Catholic parish church of the Diocese of Monterey. Recently, the Mission suffered damage from the 2003 San Simeon earthquake, restoration work was required and it reopened in September 2009. Mission Trivia: Located a short distance from the Mission San Miguel is a campanario (a bell tower or wall which usually stands alone and unattached to a building) which was built during a restoration project in 1939. The campanario holds three bells each weighing 2,000 pounds, the bells were recast in 1888 from the bells taken from the other missions. Originally one of the bells was hung from a large wooden scaffold in front of the Mission San Miguel. This concludes Part Two of the four part series on the California Missions. 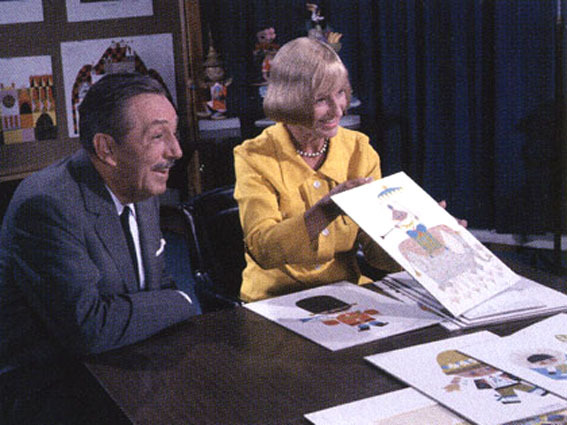 In the series, l discuss all of 21 Missions moving from southern to northern California and starting with the first Mission located in San Diego to the San Buenaventura Mission in Part One, then from the Santa Barbara Mission to the San Miguel Arcangel in Part Two and from San Antonio de Padua to the Santa Cruz in Part Three and then from the Santa Clara de Asis Mission to the most northern Mission San Francisco de Solano in Part Four. 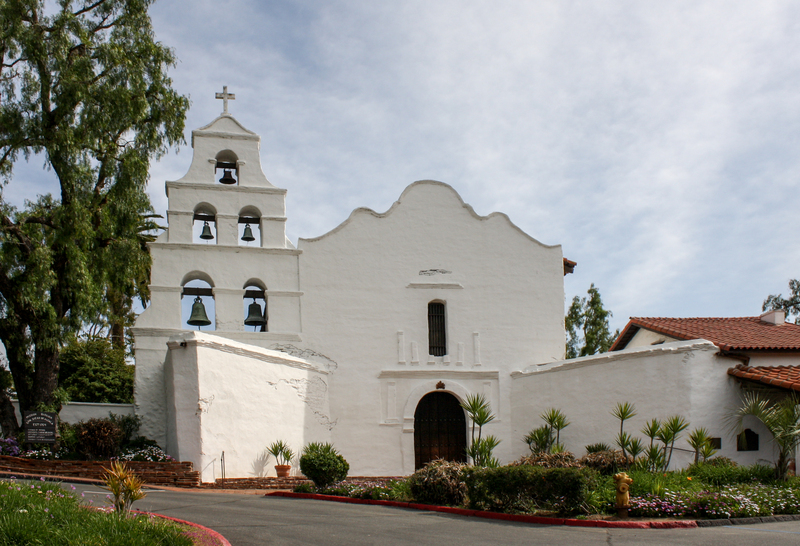 The story of the California Missions started many centuries ago when Juan Cabrillo, an explorer sent by the Spanish King to explore the west coast of North America, sailed into the bay of present day San Diego in 1542. Cabrillo continued his journey and sailed along the coast of California as far as the area of present day San Francisco. But by the 17th century Spain was not the only country interested in this new land, Russia had begun establishing forts in the northern region of California to aid in their lucrative fur trapping. As a result of this potential foreign threat an expedition was commissioned by King Carlos III to protect the territory a unit of military officers and a unit of military officers and soldier would include a group of Franciscan Friars. 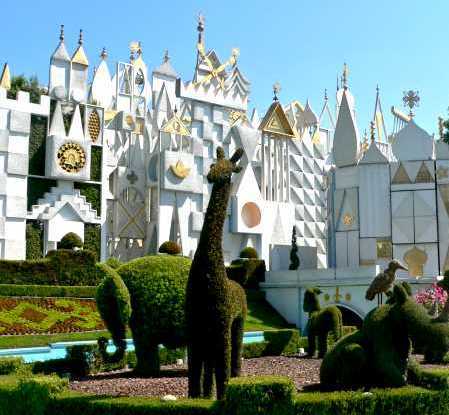 It was thought that in order to succeed in colonizing Alta California and establishing permanent settlements they needed to convert the Native American population to Christianity so that they would remain dependent and loyal to the Spanish Crown. The Franciscan Friars had already helped to establish Missions in Baja California and now they were given this new important task for Alta California. There would be five expeditions that would sail from Baja California, Governor Gaspar de Portola would be in charge and Father Junipero Serra (born November 24, 1713 died August 28, 1784) would be chosen to lead the group of Franciscan missionaries. Three ships departed from Baja California, the San Carlos and the San Antonio (a later supply ship, the San Jose, was lost at sea), landing in San Diego in mid-1769. Between 1769 and 1823 twenty-one missions were established along the coastal region of Alta California. Mission San Diego de Alcala was the first Mission that was established in 1769 followed by the Mission San Carlos Borromeo de Carmelo in 1770. 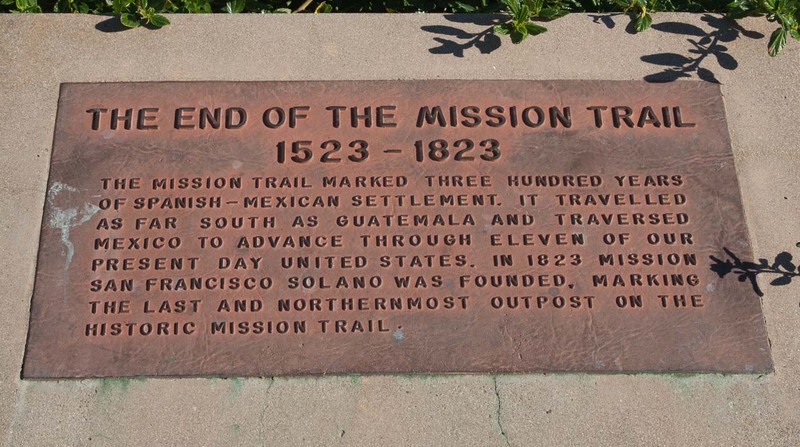 Then, over the next 54 years more Missions were established along the El Camino Real covering the 442 miles distance between the Mission San Diego and the Mission Carmel. Several additional Missions were also built north of the Mission Carmel and the final Mission, Mission San Francisco de Solano, was added in 1823. As settlers came into the region, they introduced many European fruits and vegetables, cattle and horses, ranching and farming techniques to the Native Americans. In 1821, Mexico gained independence from Spain but unfortunately under Mexican jurisdiction the Missions did not receive the same support as in the past. 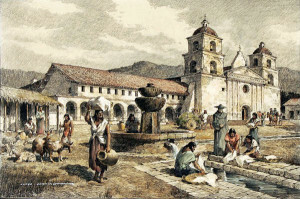 In 1833, the Act for the Secularization of the California Missions followed by the Decree of Confiscation in 1834 removed the administration of the Missions from the Catholic Franciscan Padres and given to the Mexican government. Eventually the vast properties of the Missions were divided and land grants were given to prominent Mexicans, these became the famous Ranchos of California. In 1848, after the Mexican-American War and subsequently when California became the 31st State in 1850, the United States Army occupied many of the Missions. Some of the Missions were used as garrisons and the soldiers lived in converted barracks. Ultimately, on March 18, 1861, President Abraham Lincoln decreed that the California Missions should be returned to the Catholic Church. Throughout the following years many of the Missions were abandoned or neglected and fell into disrepair while others became local parishes of the Catholic Church that are still in use today. Mission San Diego de Alcala is the first of the 21 California Missions and was founded on July 16, 1769 by Juniperio Serra. Located near present day downtown San Diego, the original site was built overlooking the San Diego Bay but five years later the Mission moved east and six miles inland. The new location close to the San Diego River was better situated for growing crops and everything was progressing according to plan and by the summer of 1775 the missionaries had baptized 315 of the Native Americans. 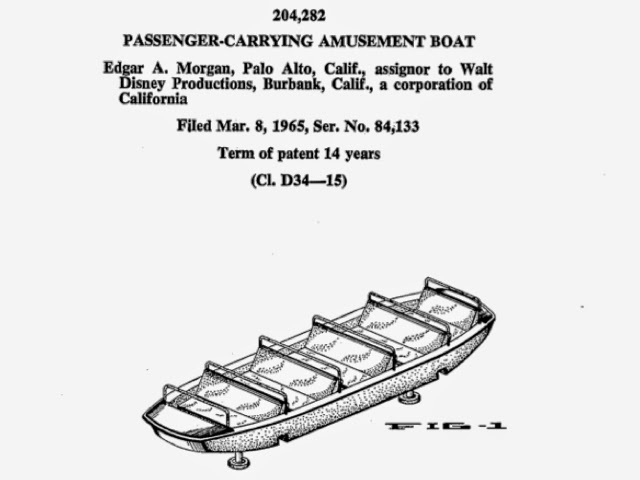 Then in 1803, after suffering from a two-year drought, the decision was made to construct a dam and an aqueduct. Supervised by the Padres and built by the Native Americans. Located about five miles east of the Mission the dam was built across the San Diego River; it was about 224 feet across, 12 feet high and 13 feet thick. 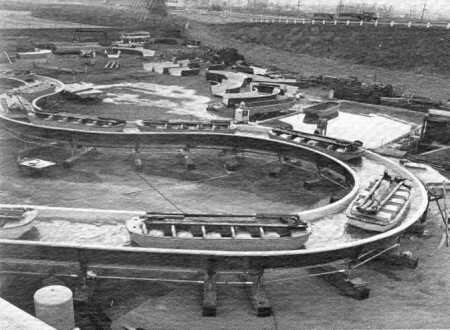 The aqueduct used a gravity-flow system and was built with tiles laid onto stone foundations and was completed in 1817. In 1821, Mexico gained independence from Spain and eventually the jurisdiction and administration of the Missions transferred from the Catholic Church to the Mexican government. 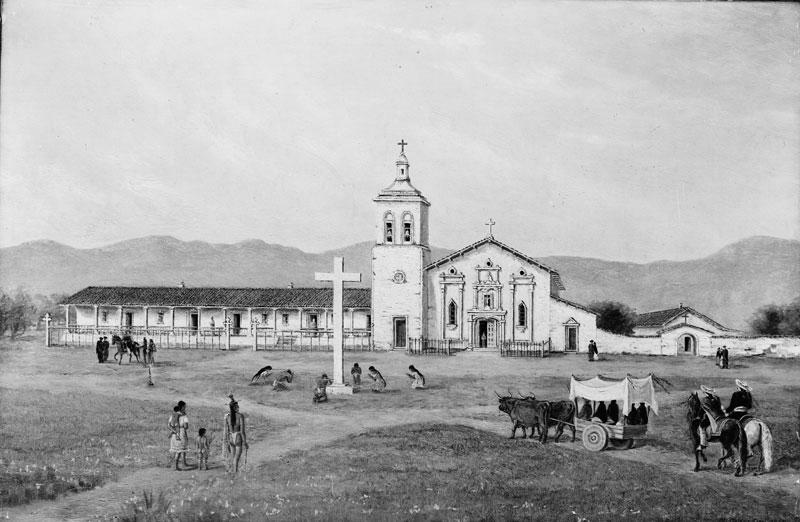 As a result, in 1840, the first Bishop of California was appointed, Francisco Garcia Diego y Moreno, and the Mission became the center of the newly created Diocese of Alta California until it was eventually moved the Mission Santa Barbara in 1842. 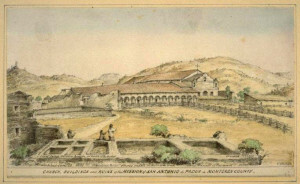 The Mexican government sold the land surrounding the San Diego Mission to Santiago Arquello in 1846. 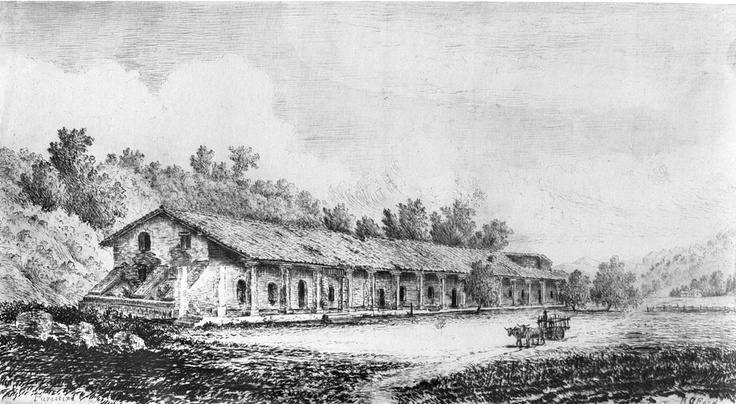 After the Mexican-American War, the United States Army occupied the Mission turning it into a garrison and housing the soldiers in barracks until 1858. The Mission was abandoned until 1891 when it was turned into St. Anthony’s Industrial School which was run by the Sister of St. Joseph of Carondelet, the school eventually moved to Banning, Ca and the Mission was once again closed. In 1931, the Mission was rebuilt to resemble the original 1813 church and today it is used as a local parish for the Catholic Diocese of San Diego. 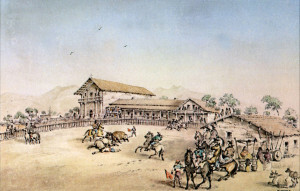 Located 5 miles east of present day city of Oceanside, the area was first visited by the Portola expedition in 1769 and became a frequent stop for camping on the El Camino Real that connected the Missions. Eventually a permanent settlement was established and the Mission San Luis Rey de Francia was founded on June 13, 1798 by Father Fermin Lasuen and was named for Saint Louis in honor of King Louis IX of France. The Mission church was built in 1811 and it is the 18th of the California Missions. The San Luis Rey Mission was the largest, almost 950,400 acres, and one of the most prosperous of the twenty-one Missions and it had been said that it was one of the best designed due to the fact that it was one of the last Missions built. The Mission is built on a small hill and it featured a 500×500 feet quadrangle surrounded by a sunken garden and a special water system featuring a unique charcoal filters through which the water flowed into the fields. 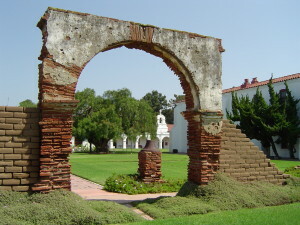 Within the courtyard of Mission San Luis Rey is the first Peruvian Pepper Tree (schinus molle) planted in California, today the tree can be seen beautifully framed by an arch. Legend has it that the seeds of the pepper tree came from a ship’s captain that had visited the Mission as a guest in 1825 and to repay the padres kindness during his visit he gifted them a handful of pepper tree seeds. The pepper tree is known for its fragrant leaves, knotted trunk and clusters of small pink berries that resemble peppercorns, hence the name of the tree. Subsequently, peppers trees were planted at the other Missions and were valued for the shade they provided and the tolerance to the semiarid conditions of California. Much later, the pepper tree proved to be so popular that after California became a state in 1850, the tree was renamed the California Pepper Tree. 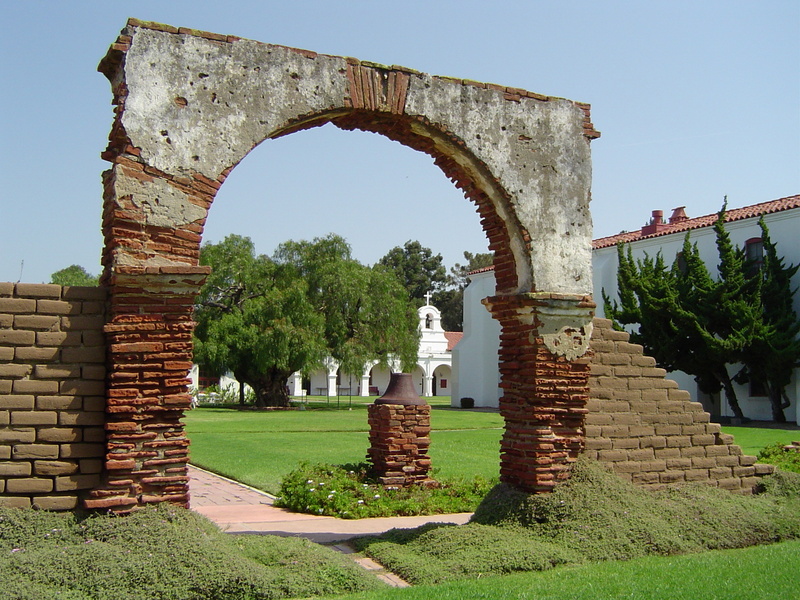 After the secularization of the Missions in 1834, the Mission San Luis Rey was abandoned and after many years it fell into disrepair. Then in 1895 Father Joseph O’Keefe was put in charge of restoring the Mission and the work was completed in 1905. 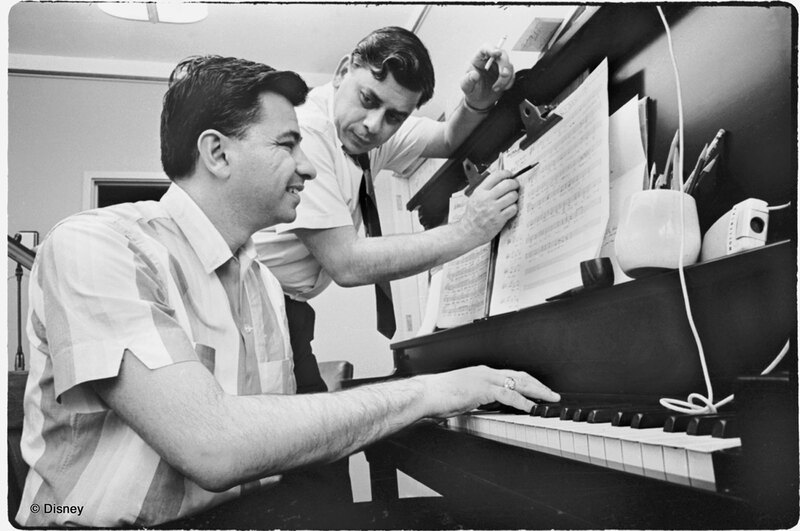 A Catholic seminary was opened at the Mission in 1950 but as enrollment significantly decreased it was finally closed in 1969. 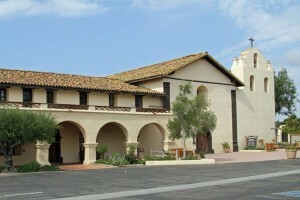 Today, the Mission San Luis Rey is an active Catholic parish of the San Diego Diocese. 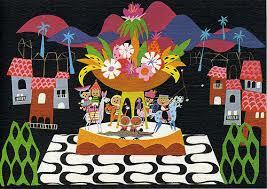 Mission Trivia: The Mission San Luis Rey was used for the filming of the 1957 Disney television series “Zorro”. The fictional character of Zorro was originally created by Johnston McCulley in the 1919 “Curse of Capistano” book. 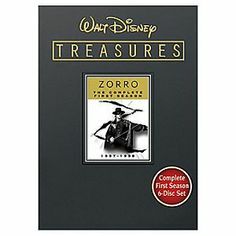 Zorro was a wealthy land owner living in California that secretly became a black masked outlaw who defended the local people from the injustice Mexican officials and he was known for his cunning ways of outsmarting the authorities and publicly humiliating them. The Missions San Juan Capistrano is the seventh in the chain of the 21 California Missions and was founded by Junipero Serra, on November 1, 1776. 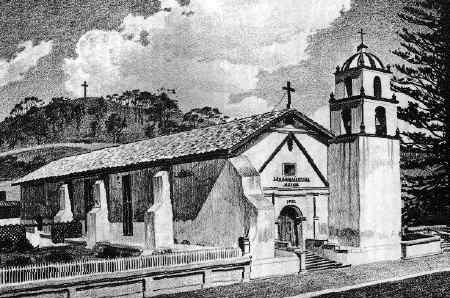 The mission was named for the Italian Crusader, Saint John of Capistrano and was first built as a small adobe church 1778. 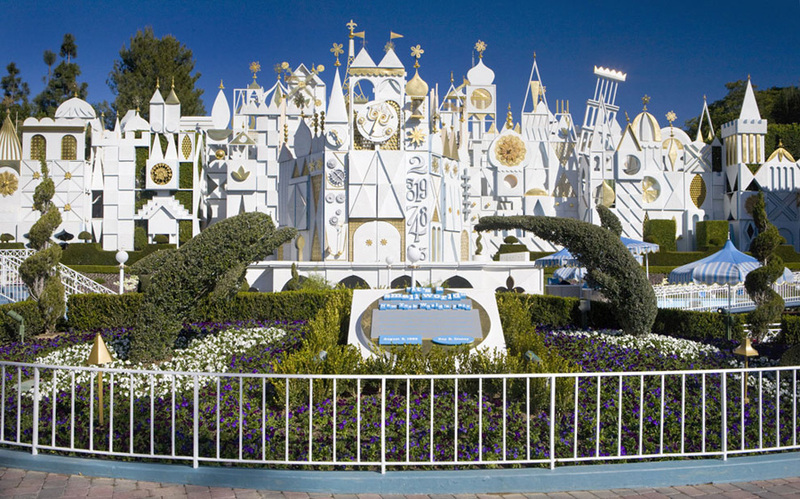 It was later replaced by a much large church to accommodate the growing population in 1782 and has the distinction of being one of the oldest buildings still in use in California. For more detailed information, please click on the link to the previous Travel Post about Mission San Juan Capistrano. Mission San Gabriel Arcangel was founded on September 8, 1871 by Father Junipero Serra; it is the 4th California Mission. 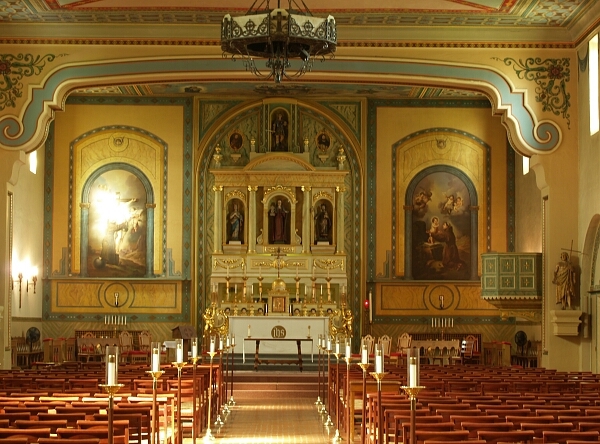 The Mission was named for the Archangel Gabriel and is located in the present day city of San Gabriel. The original proposed site was located on the Rio de los Temblores (later renamed the Santa Ana River) but the Padres chose an alternate site located in a fertile area situated along the Rio Hondo River. Unfortunately, in 1776, a flash flood destroyed the Mission and the decision was made to relocate it five miles away and closer to the San Gabriel Mountains. The current Mission church was designed in a Moorish-style of architecture by the Spanish born Padre Antonio Cruzado; the design was inspired by the Cathedral of Cordoba located in Spain. 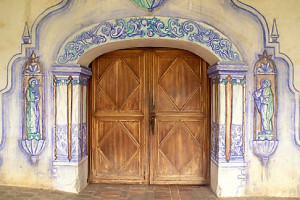 The Mission features unusual elements like unique buttresses, tall narrow windows and arched shell decorations that are not seen in the other California Missions. 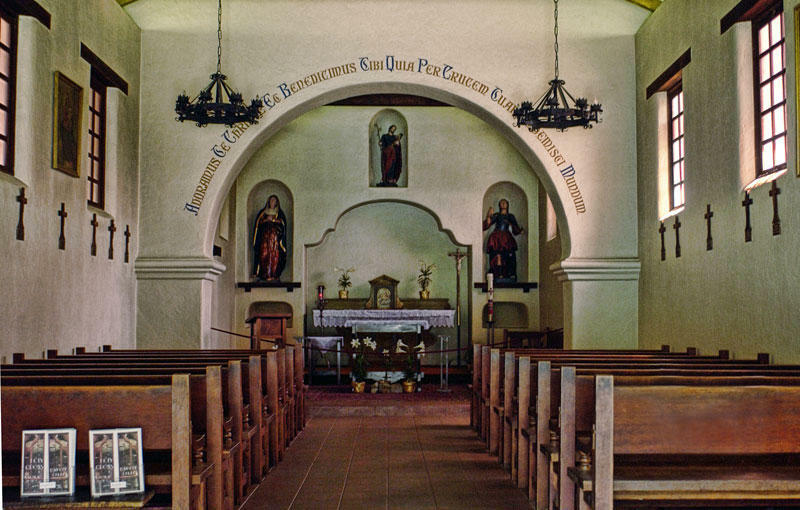 Between the years 1771 to 1834 over 25,000 baptisms were performed at the San Gabriel Mission but with the secularization of the Missions by the Mexican government, the properties were lost or given away but the Mission church continued to function as a local parish. In 1908, the Claretian Missionaries of the Sons of the Immaculate Heart of Mary Order took over responsibility of the San Gabriel Mission and began extension restoration work to repair the buildings. 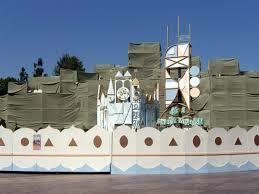 Much later, on October 1, 1987, the Whitter earthquake hit and the Mission sustained more damage. 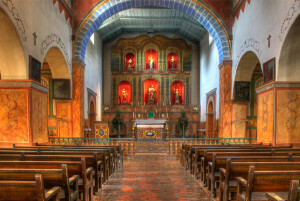 Today, the San Gabriel Mission remains open as an active parish of the Archdiocese of Los Angeles. Mission Trivia: According to legend, the expedition constituting of Franciscan padres accompanied by Spanish military soldiers was confronted by a large group of hostile Native Americans, the Tongva tribe, which intended to drive the expedition members away from their land. To calm the Native Americans and demonstrate their peaceful purposes, one of the padres laid the “Our Lady of Sorrows” painting on the ground and the Native Americans were deeply moved by the painting’s beauty and a potentially volatile situation was avoided. Today, the 300 year old painting is hung at the front of the Mission San Gabriel church’s sanctuary. 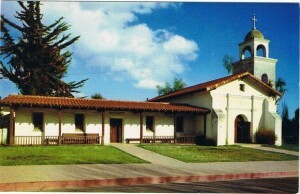 Mission San Fernando Rey de Espana was founded on September 8, 1797 by Father Fermin Lasuen, it is the 17th California Mission. The Mission was named for Saint Ferdinand and also King Ferdinand of Spain, it is located in the northern section of the San Fernando Valley near the present day city of San Fernando. 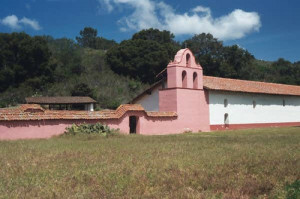 The area was first visited by the Portola expedition in 1769 and became a frequent stop for camping on the El Camino Real that connected the Missions; Father Juan Crespi noted in his journal that the site location in the foothills of the mountains would be an excellent location for a future Mission. By 1819, the San Fernando Mission had 21,000 head of livestock and had a successful industry producing hides and leather for saddles, shoes and sandals as well as supplying leather strips used for building materials. In addition to the cattle, the Mission also had 8,000 sheep and 2,300 horses. 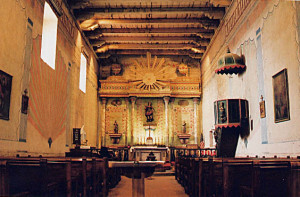 The Mission padres also taught the local Native Americans their European techniques for farming and working with domesticated animals as well as working with European-styled tools. Sadly in 1845, several years after Mexico gained their independence from Spain; the Mission buildings were sold and later used in a variety of different ways. 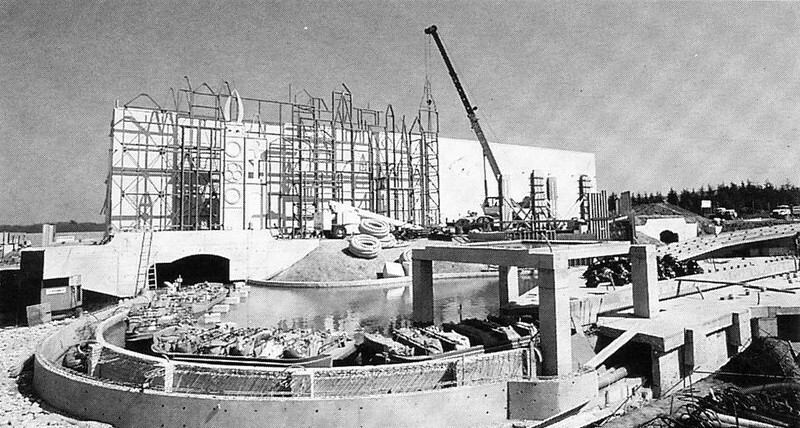 The buildings were used by the Porter Land and Water Company as a warehouse and then later a hog farm was located on the property. In 1896, the Mission returned to the Catholic Diocese of Los Angeles and repair work was overseen by Charles Lummis. In 1923 priests from the Oblate Order came to the Mission and it returned to use as a local parish. In the 1940s, the Hearst Foundation funded a total restoration of the San Fernando Mission but sadly the 1971 Sylmar earthquake severely damaged the buildings and the extensive repairs took three years to complete. 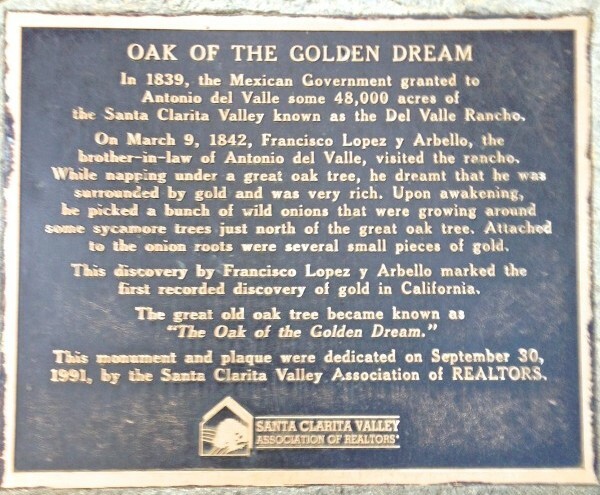 Mission Trivia: In 1842, the first gold discovery in California was actually at a site known as the Oak of the Golden Dream in Placerita Canyon located near the Mission. Francisco Lopez, a local rancher and the brother of the foreman at the San Fernando Mission, found gold clinging to the roots of wild onion that he had dug up. 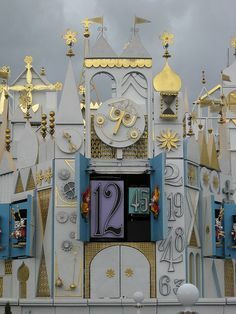 This would precede the famous gold discovery of 1848 at Sutter’s Mill located near Coloma in northern California which is credited for being responsible for the California Gold Rush. 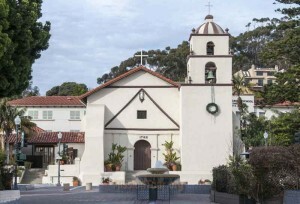 Located near the present day downtown Ventura is the Mission San Buenaventura which was founded on March 31, 1782, it is named for Saint Bonaventure. The Mission San Buenaventura is the 9th California Mission and the last one to be established by Father Junipero Serra who later died in 1784. 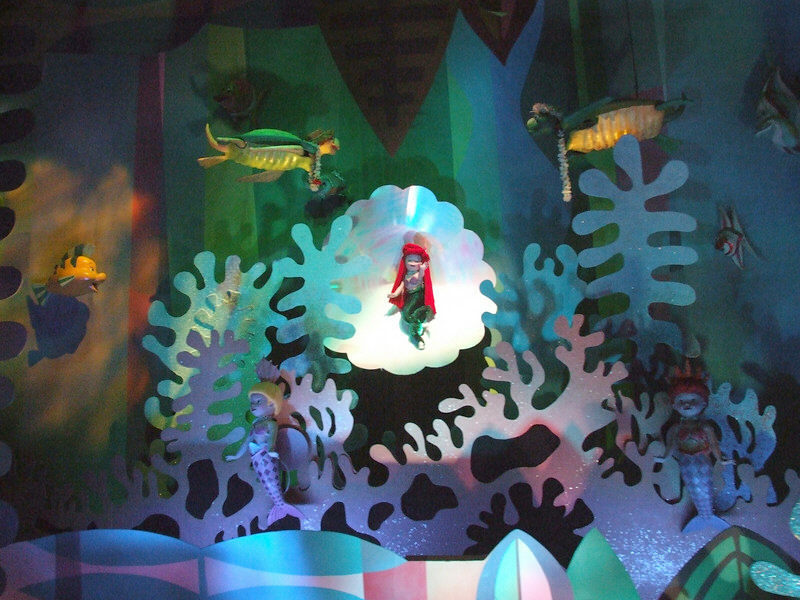 Fifty years earlier, Juan Cabrillo had landed near the present site and claimed the area for Spain. 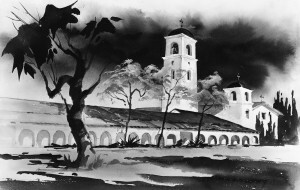 It was originally intended that the Ventura Mission would have been built ten years earlier because it was geographically located approximately halfway between the San Diego Mission and the Carmel Mission but circumstances, such as the lack of military support for protection from the Native Americans and inadequate funds for building, caused it to be established much later than planned. 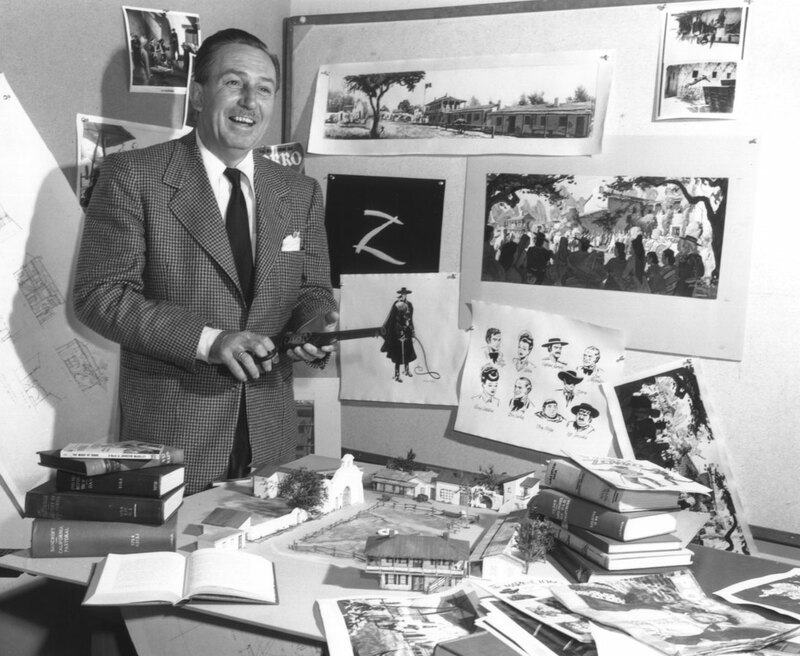 After the Mexican government’s secularization of the California Missions in 1834, the San Buenaventura Mission was later obtained illegally by Don Jose Arnaz. Later, during the Mexican-American War of 1846-47, a large U.S. Army battalion led by Major John Fremont encountered a small band of hostile locals near the Mission but the battalion managed to easily defeat them. 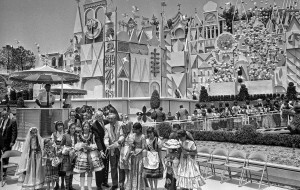 Then, after California became a state in 1850, the jurisdiction of the California Missions returned to the Catholic Church. In 1857, the Fort Tejon earthquake hit the region and the Mission was severely damaged and the original terra cotta tile roof was replaced with a more modern shingle roof. Additional changes came to the interior of the Mission church in 1893 when Father Cyprian Rubio supervised extensive renovations that sadly painted over the original artwork painted on the walls; he also covered the original tile floor of the church. 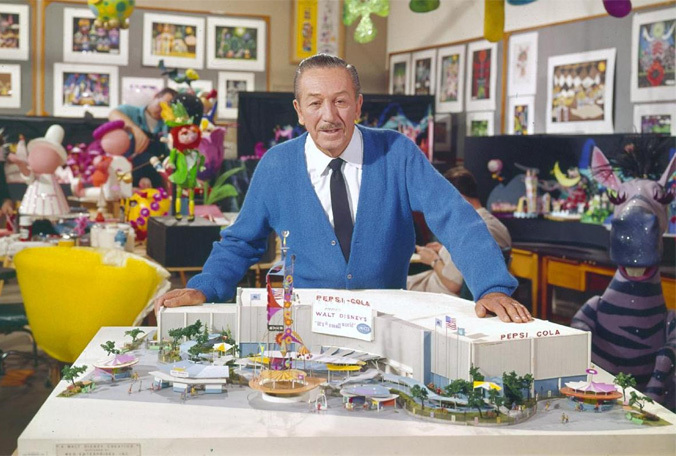 In the following years the city of Ventura grew and the Mission was soon surrounded by businesses and housing. By 1921, the west sacristy was replaced with a parochial school for the local children, a rectory and convent were built and the roof of the church was retiled. In the During the 1950s, a major restoration to the Mission was supervised by father Aubrey O’Reilly and a concerted effort was made to return it to its former original appearance. In the years that followed a new and larger school building was built and all that remains of the original Mission are the church and the garden. Today, the San Buenaventura Mission continues to be an active local parish of the Archdiocese of Los Angles. Mission Trivia: As previously noted, the bells of the Missions played an important part in the daily lives of the padres and other residents. The bells found today in the bell tower of San Buenaventura Mission were originally intended for the Santa Barbara Mission. The north bell is inscribed S. San Francisco 1781, the east bell bears the inscription: San Pedro Alcantra 1781, the smaller south bell is Ave Maria S. Joseph and the largest bell at the top bears the inscription Ave Maria Pruysyma D Sapoyan Ano D 1825, it is the only bell that is used daily. In addition, there are also two wooden bells in the museum that measure about two feet, these were the only wooden bells in the California missions. This concludes Part One of the four part series on the California Missions. In the series, l discuss all of 21 Missions moving from southern to northern California and starting with the first Mission located in San Diego to the San Buenaventura Mission in Part One, then from the Santa Barbara Mission to the San Miguel Arcangel in Part Two and from San Antonio de Padua to the Santa Cruz in Part Three and finally from the Santa Clara de Asis Mission to the most northern Mission San Francisco de Solano in Part Four.